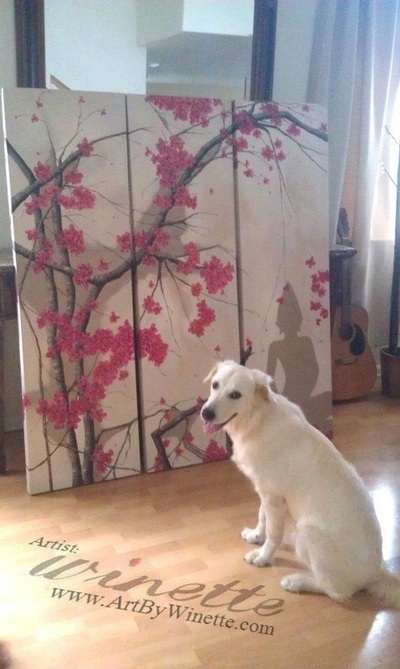 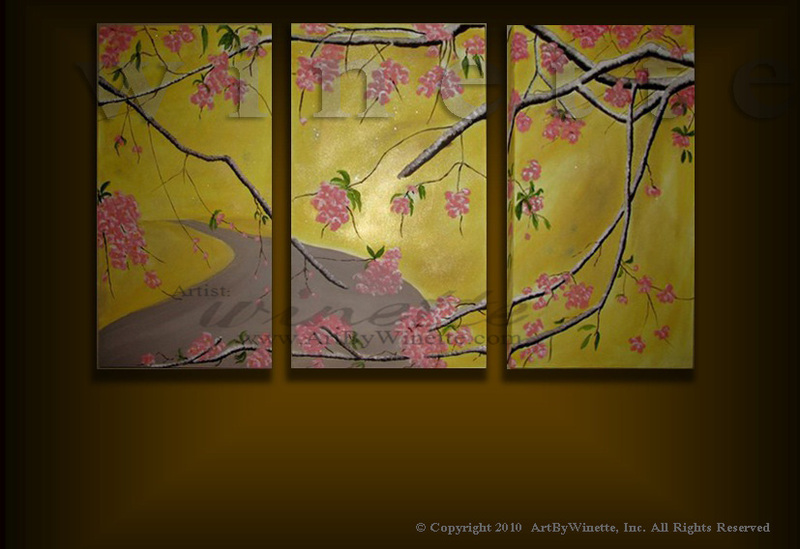 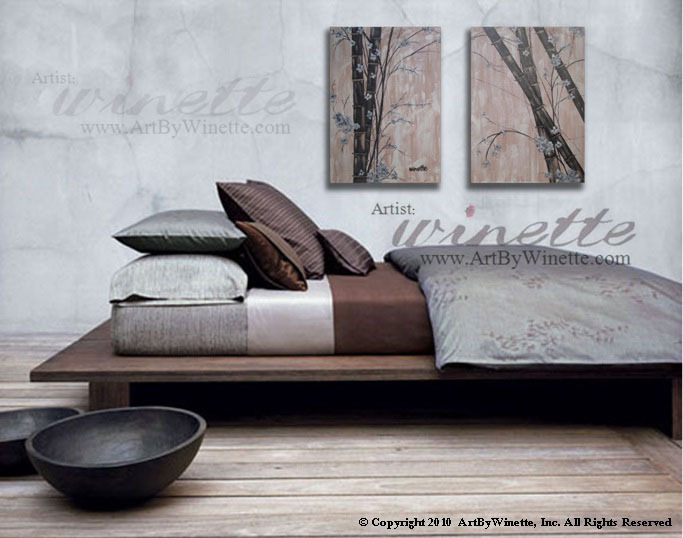 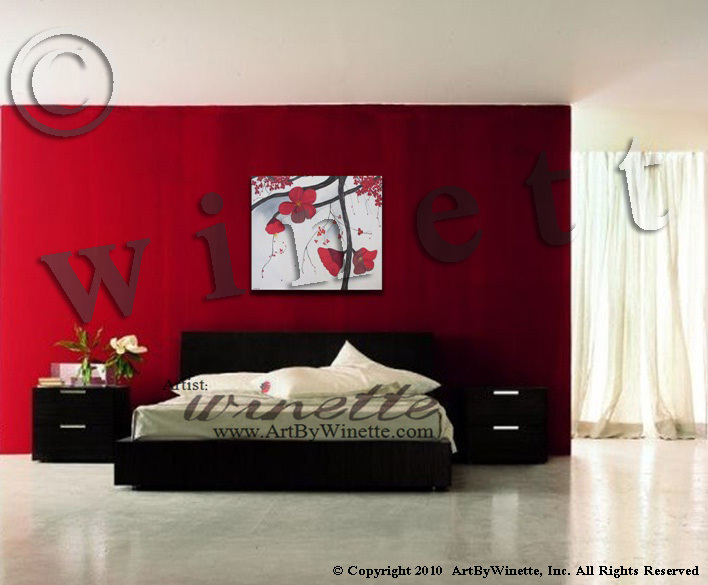 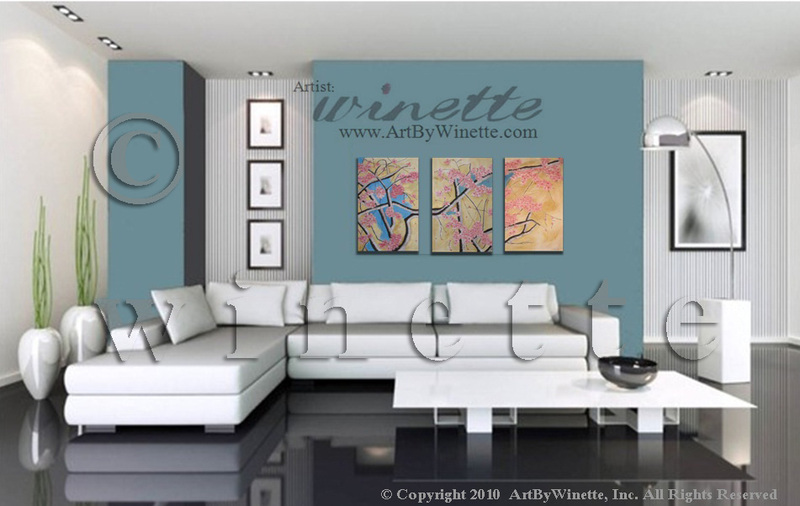 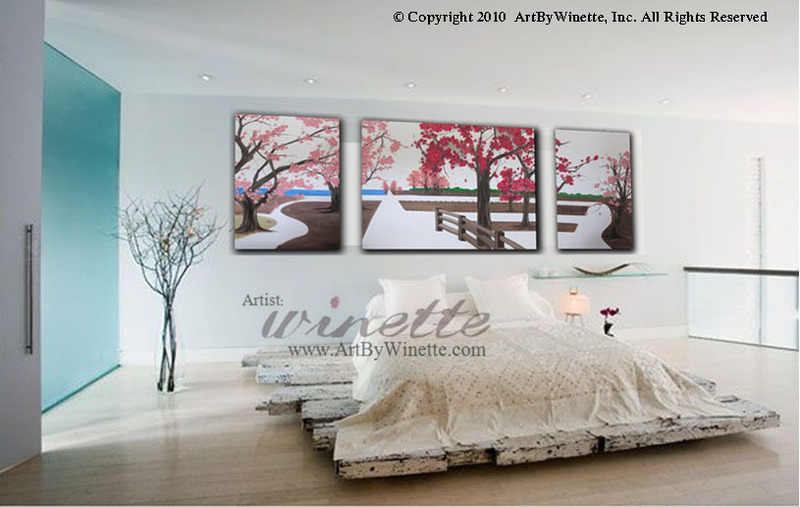 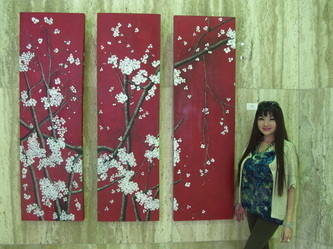 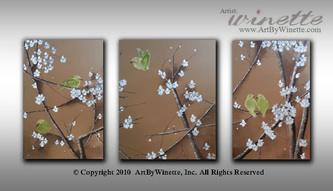 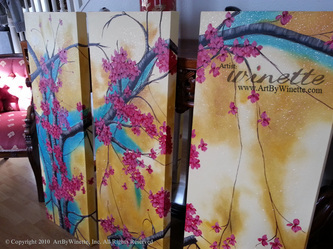 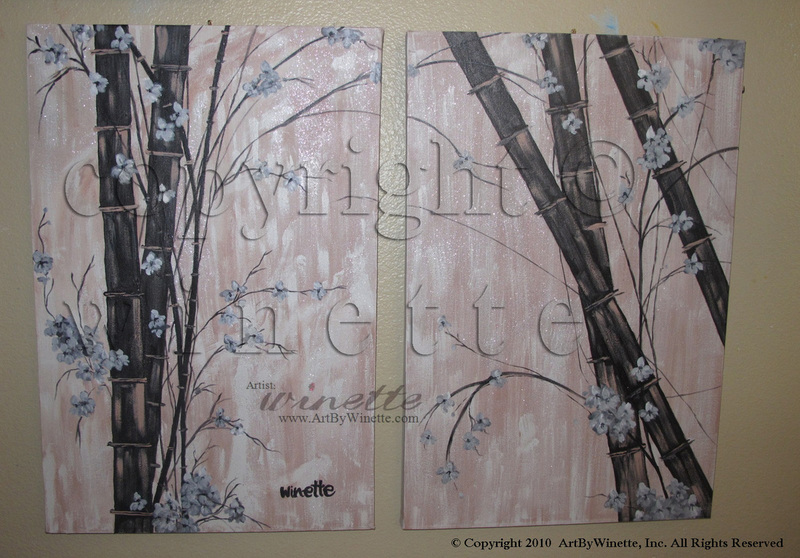 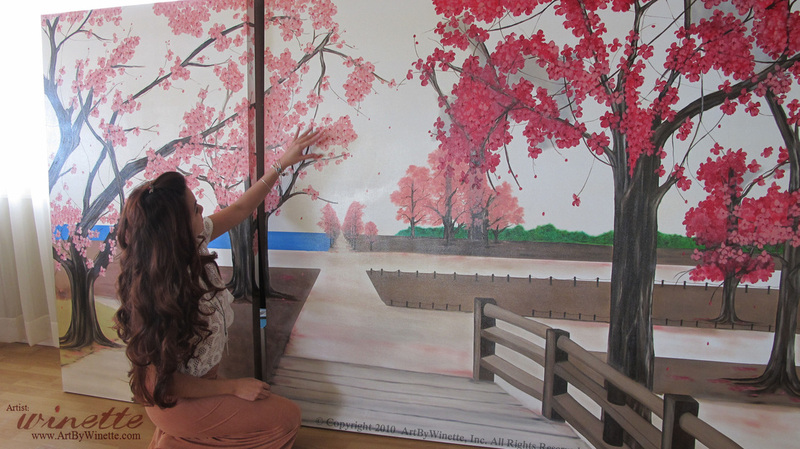 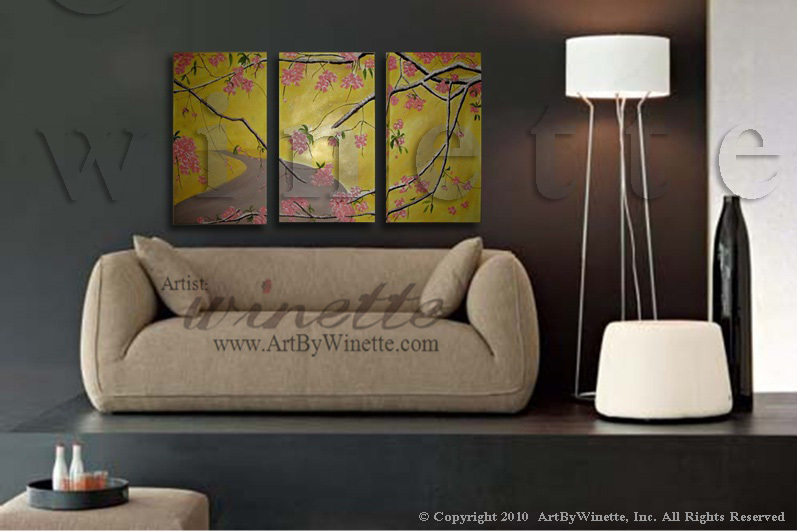 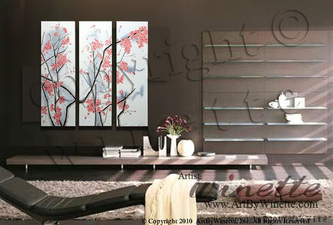 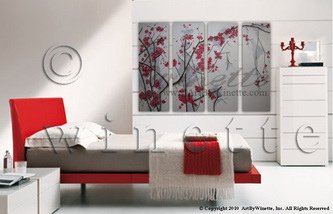 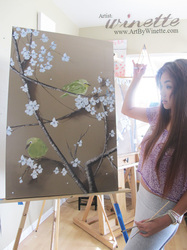 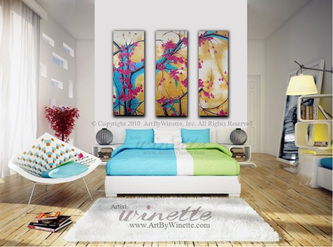 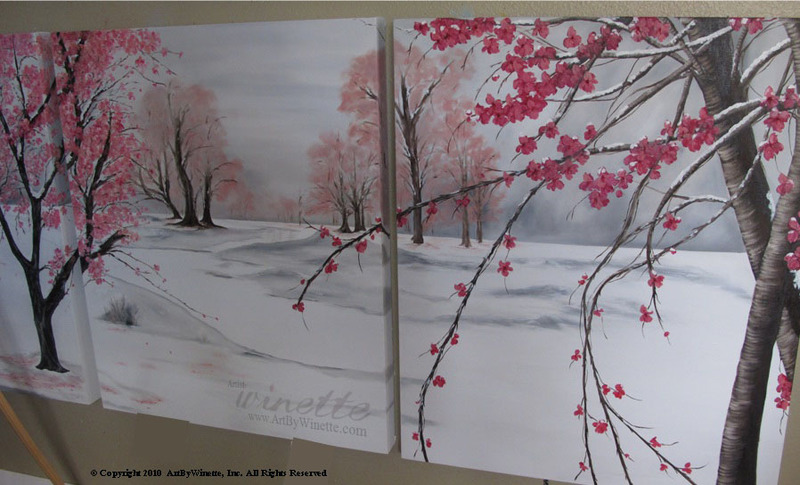 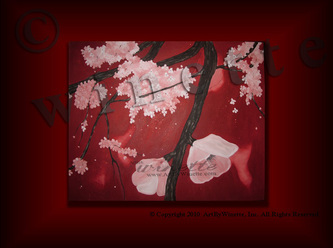 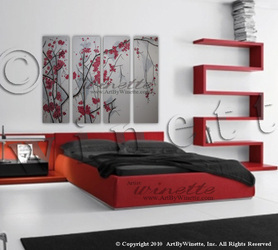 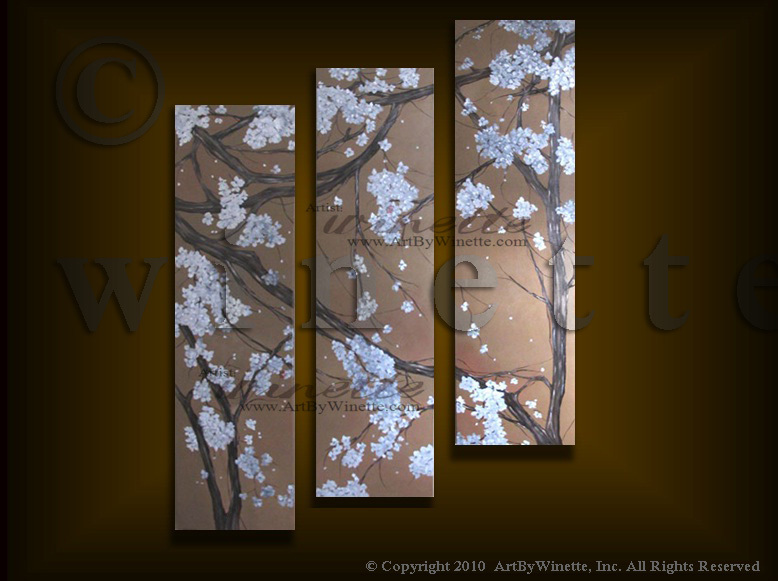 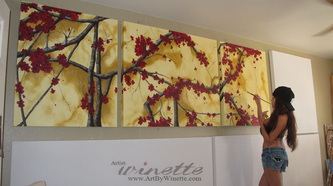 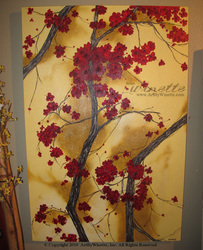 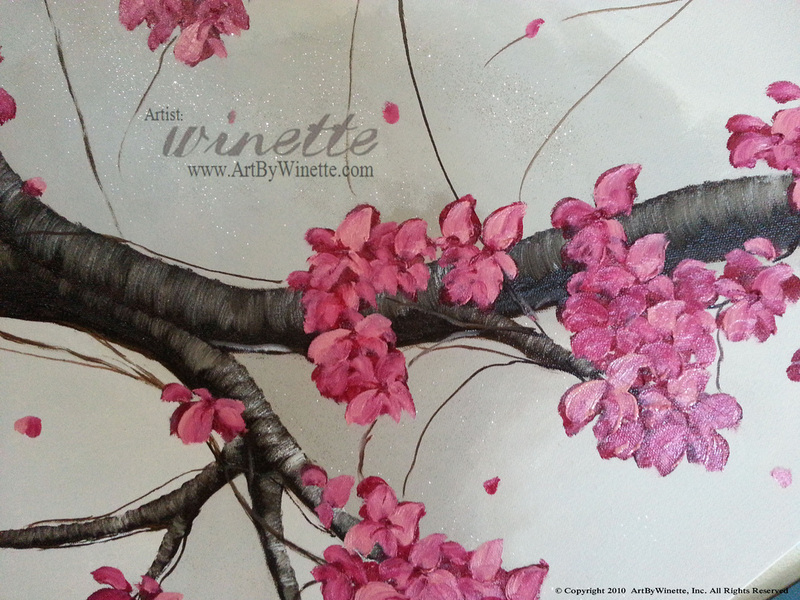 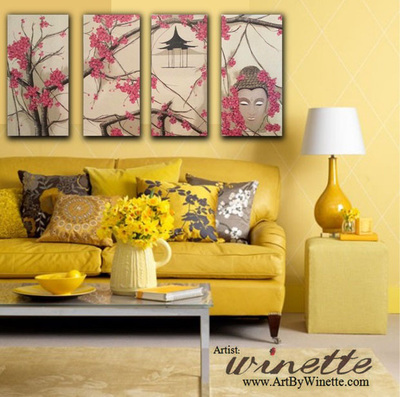 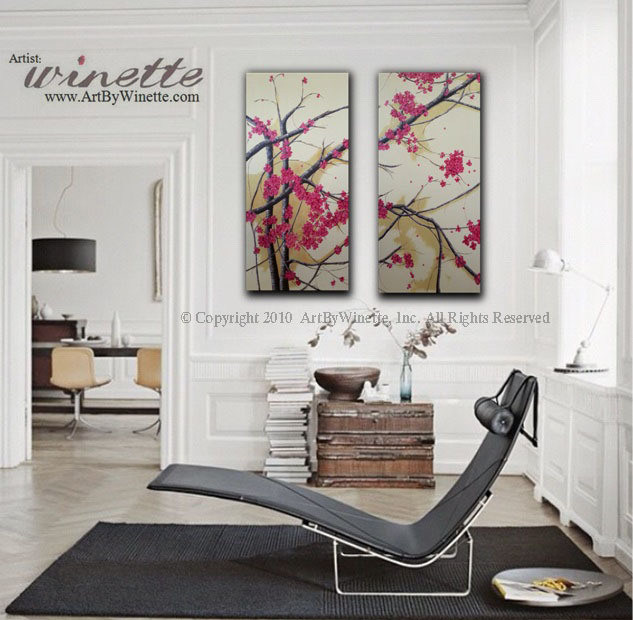 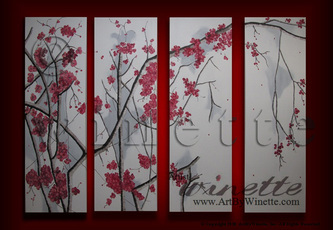 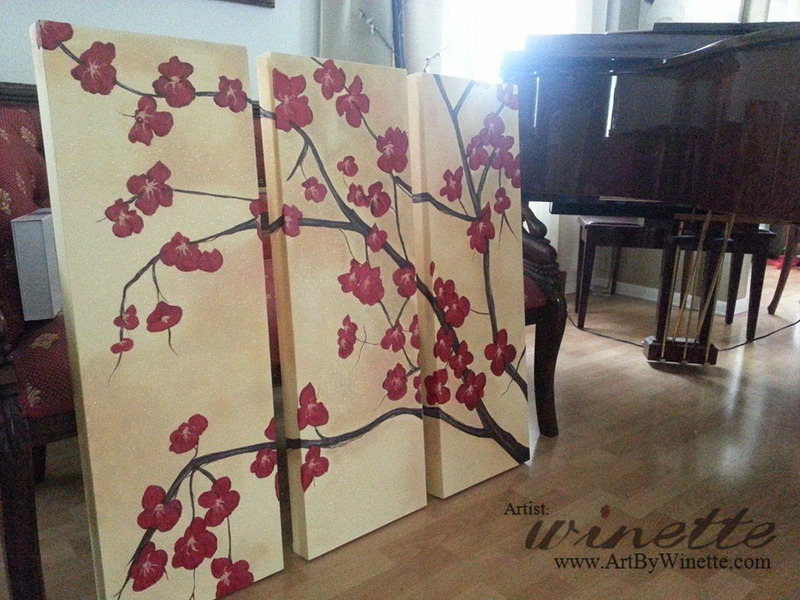 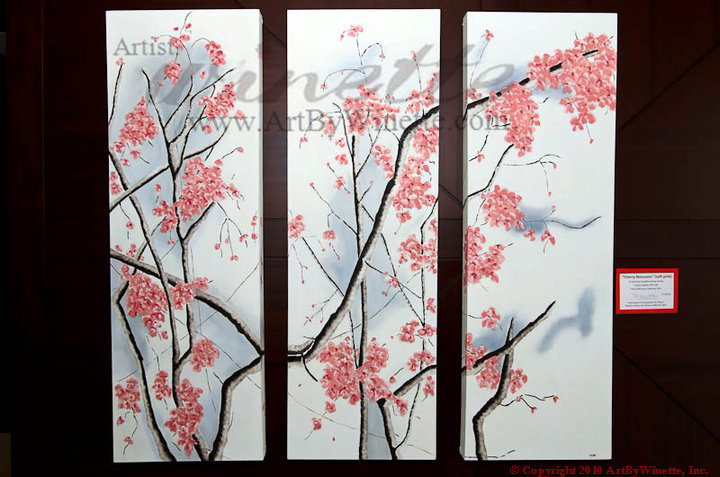 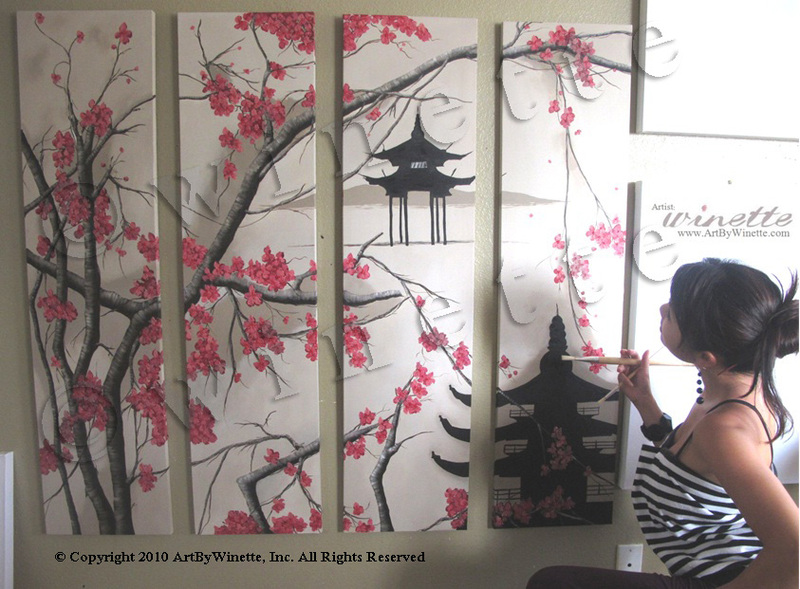 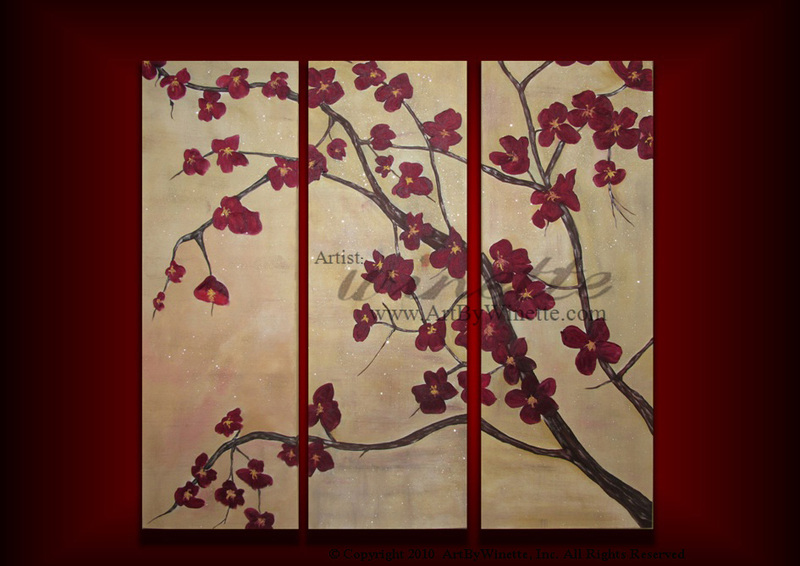 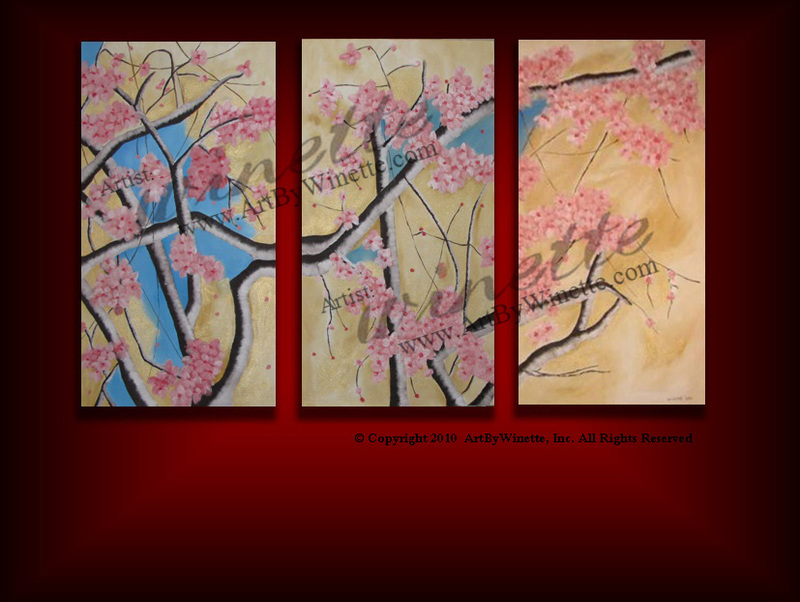 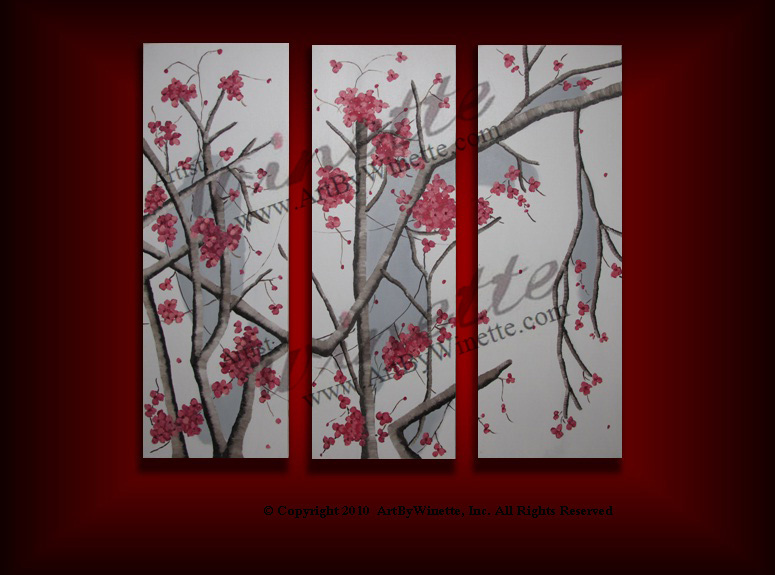 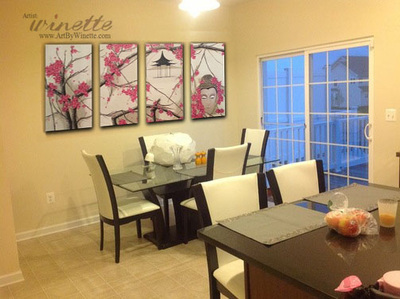 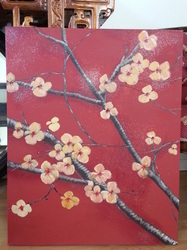 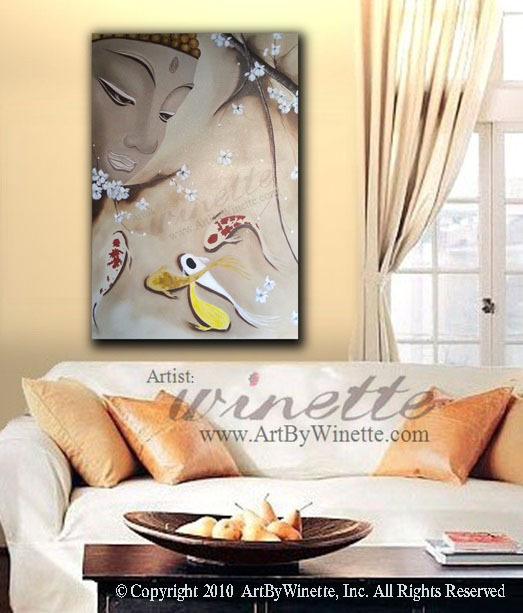 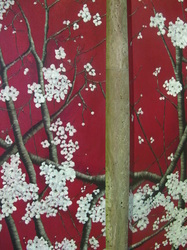 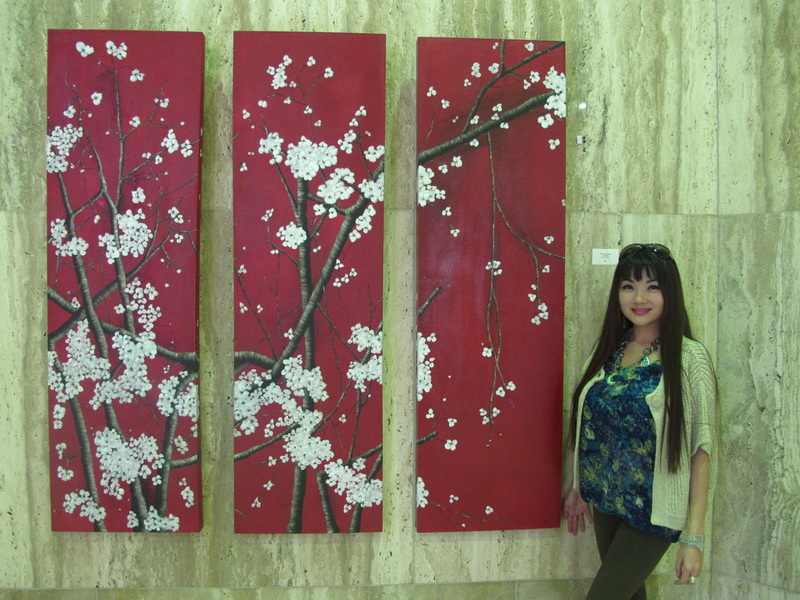 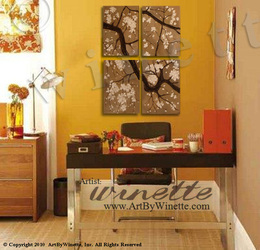 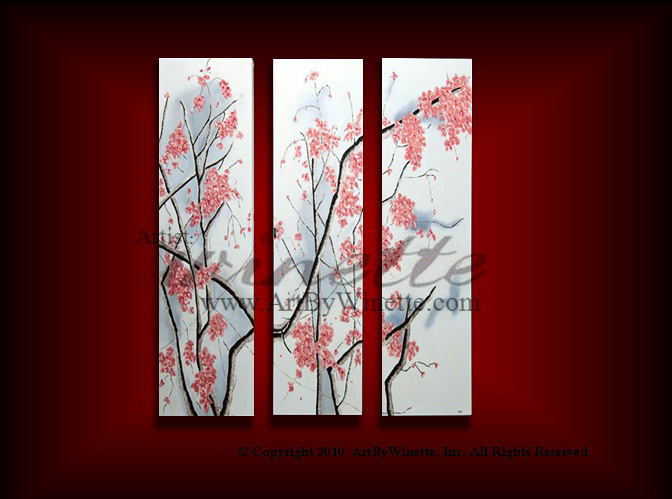 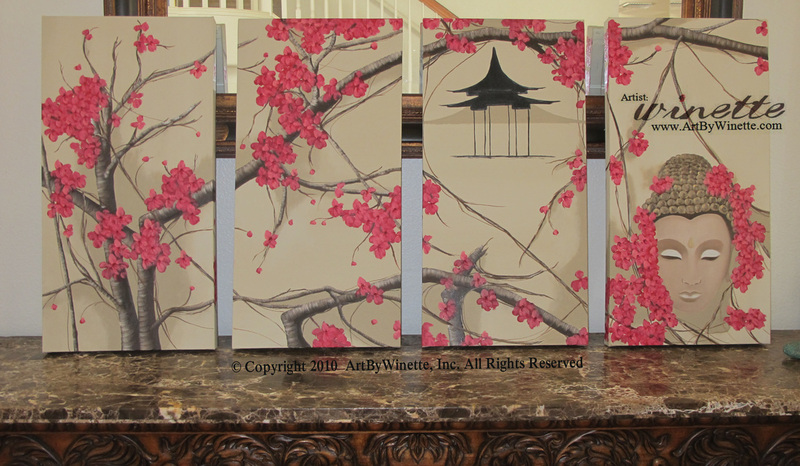 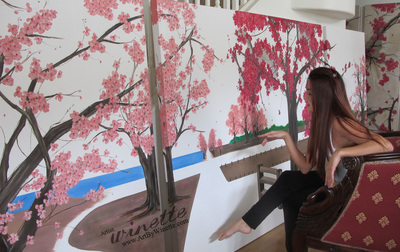 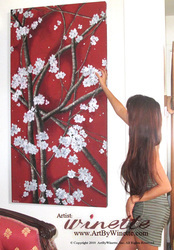 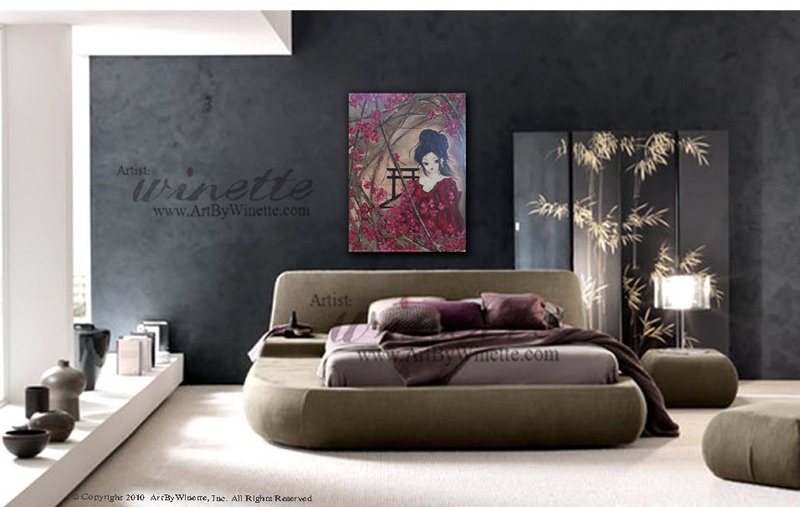 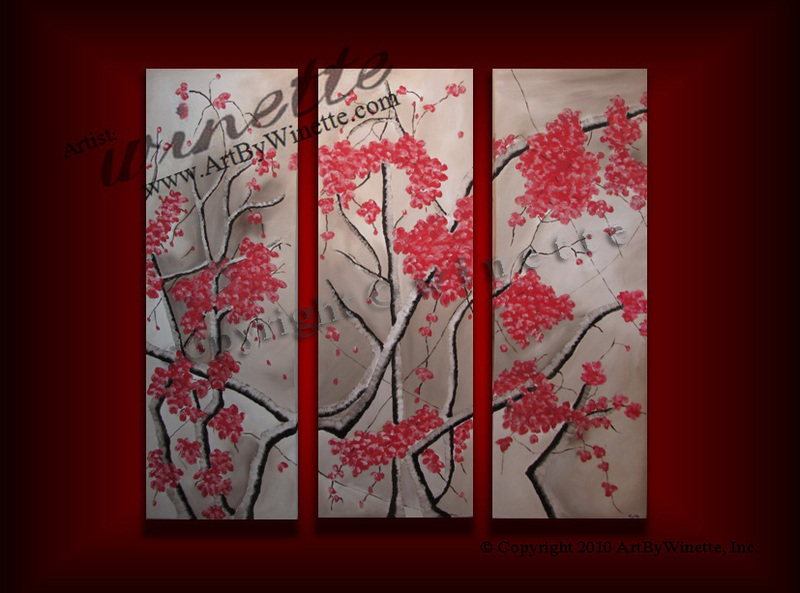 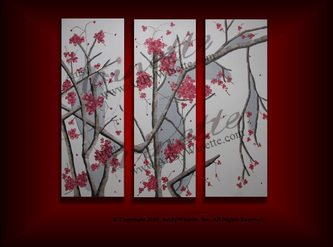 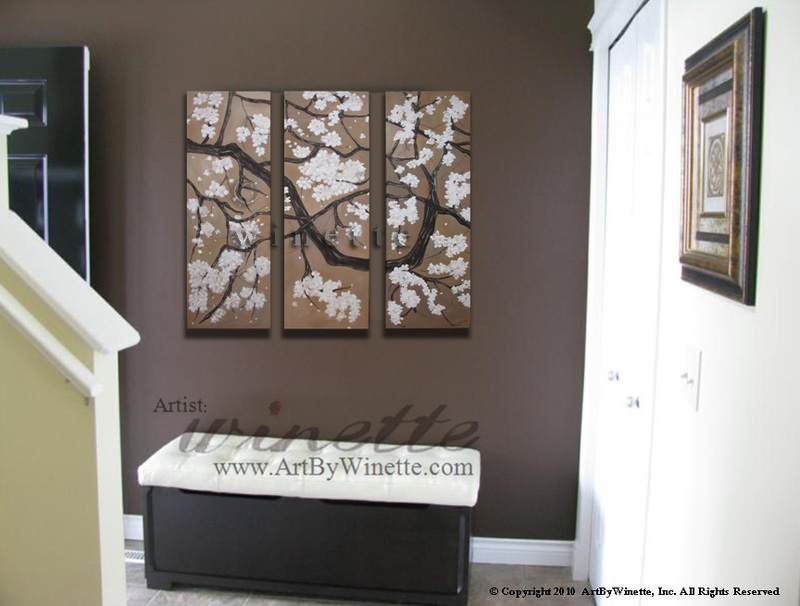 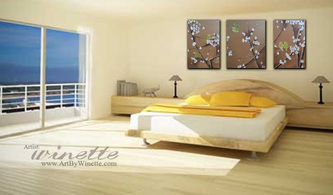 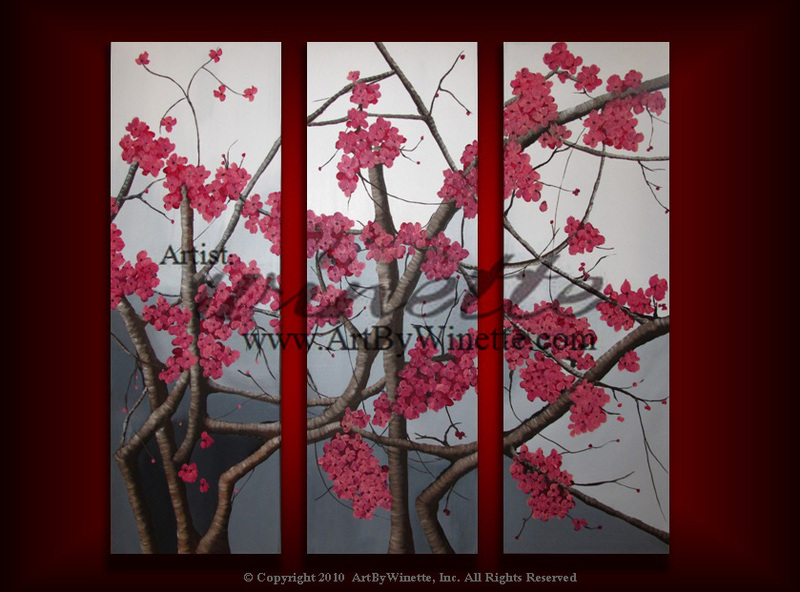 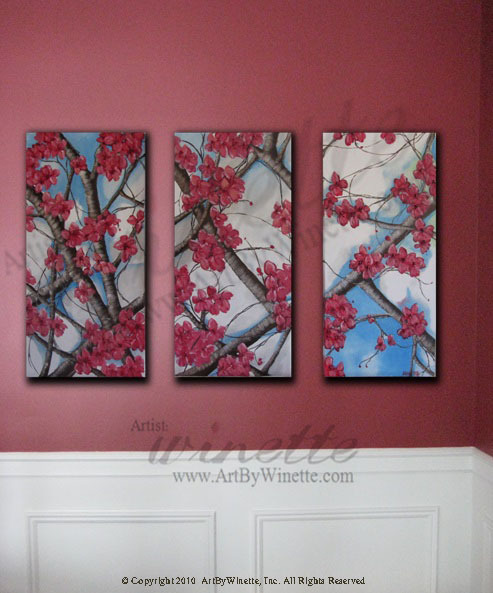 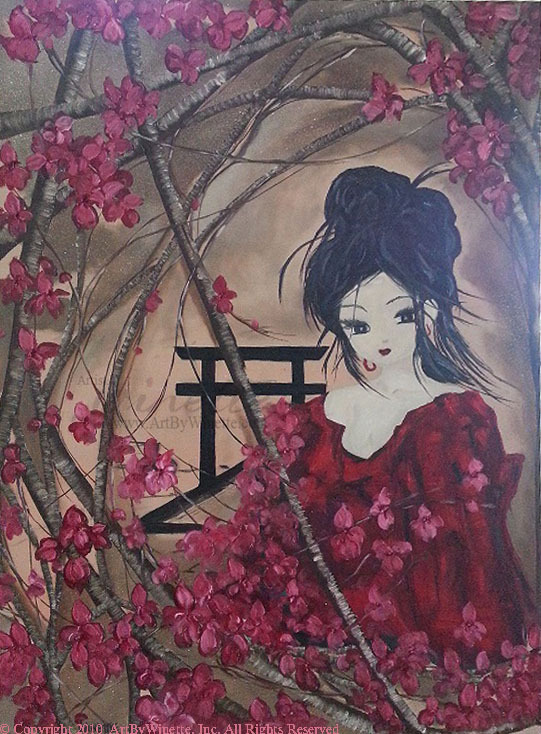 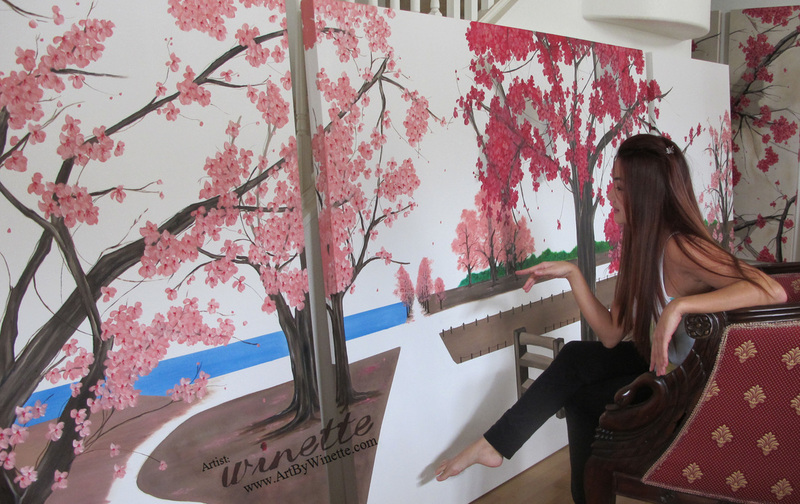 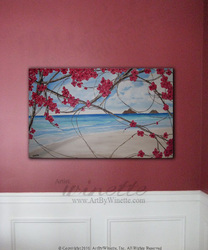 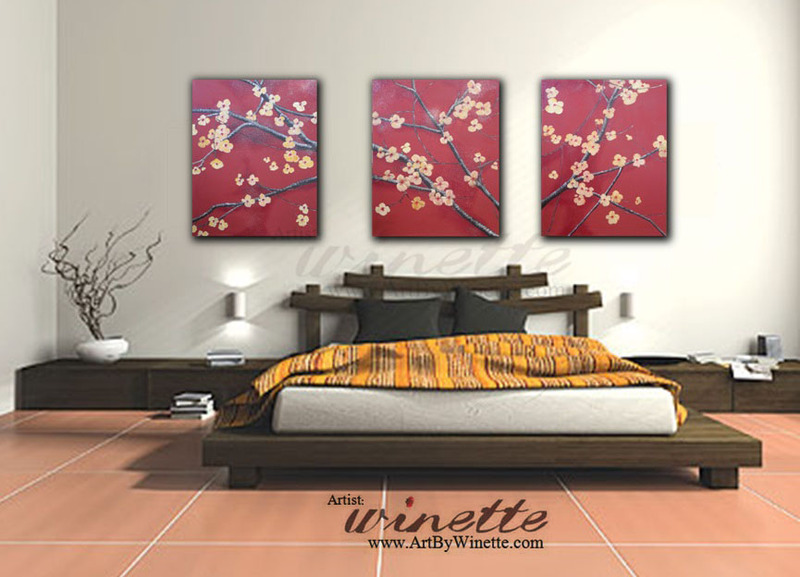 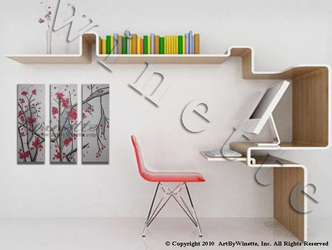 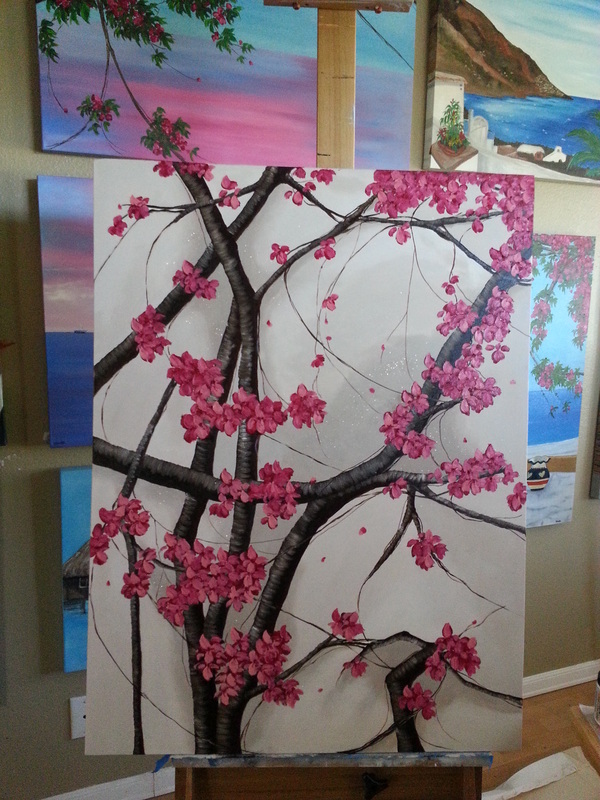 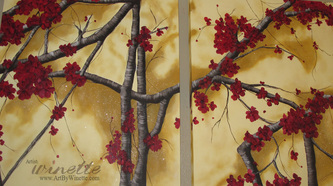 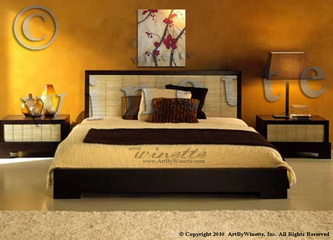 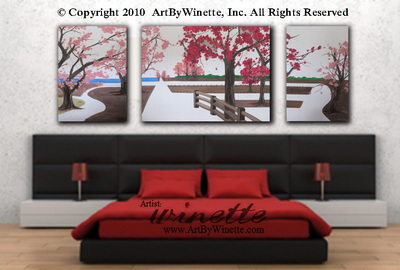 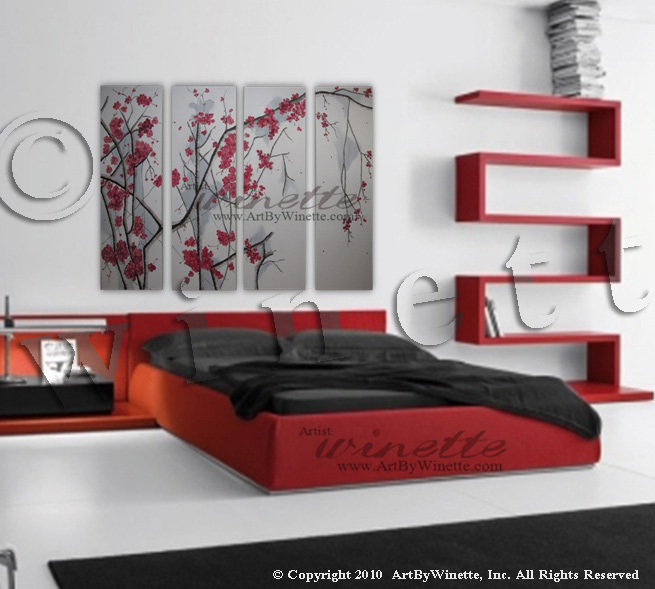 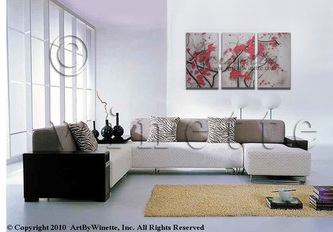 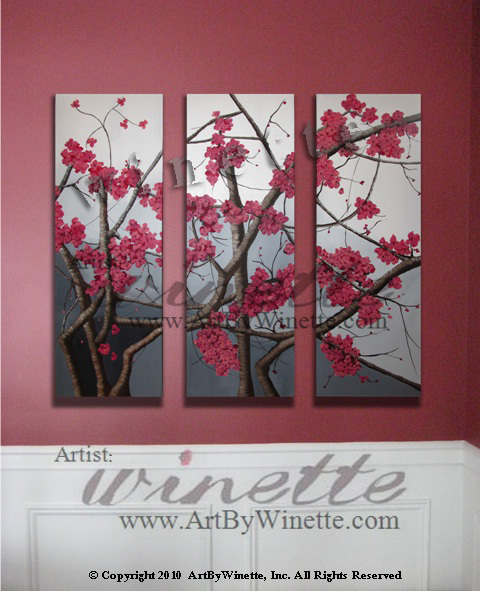 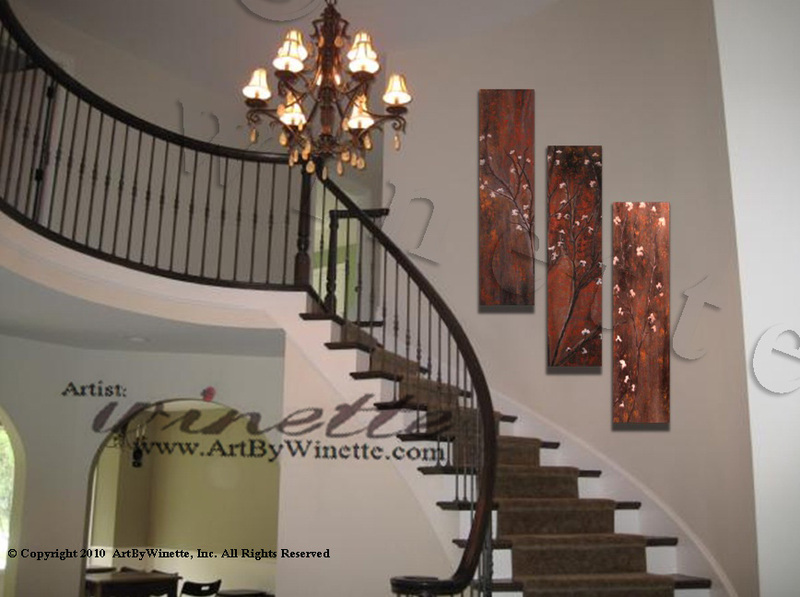 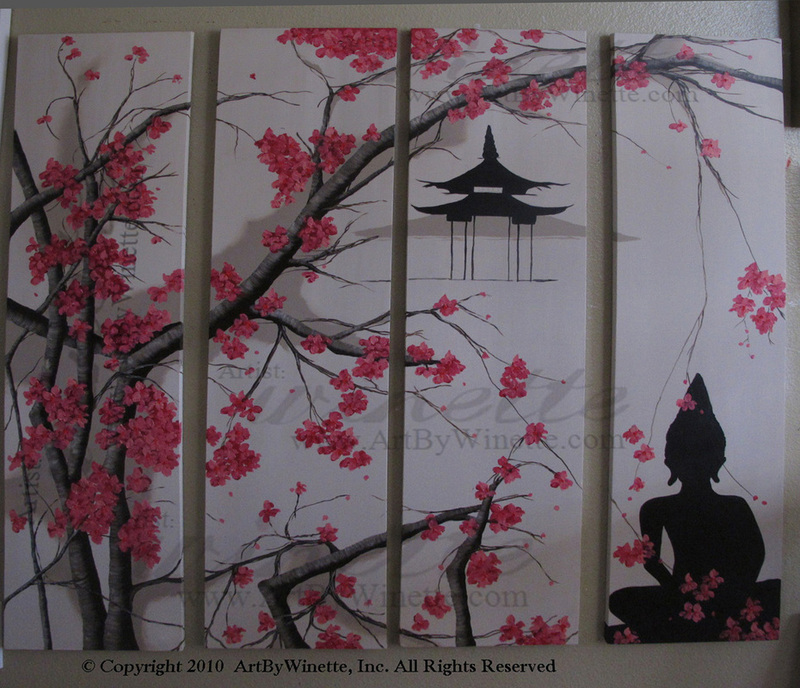 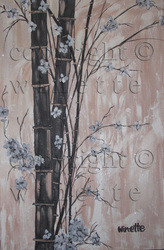 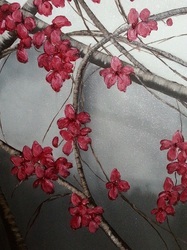 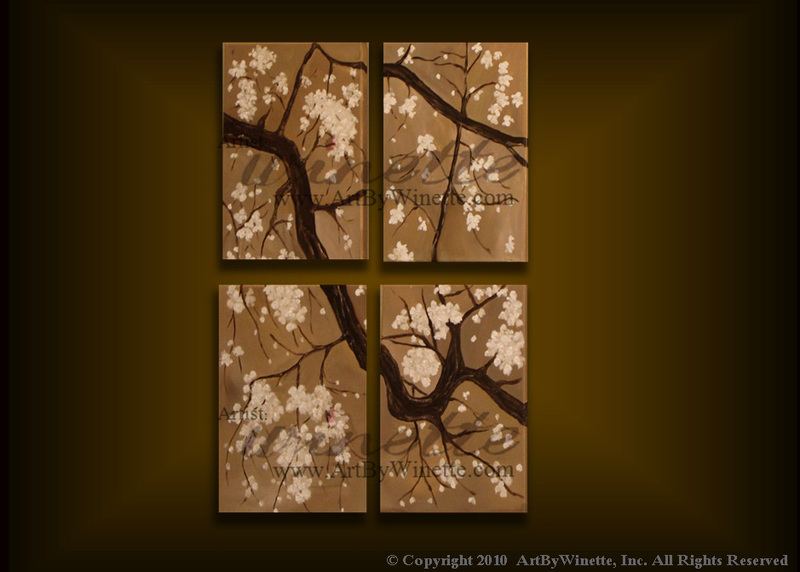 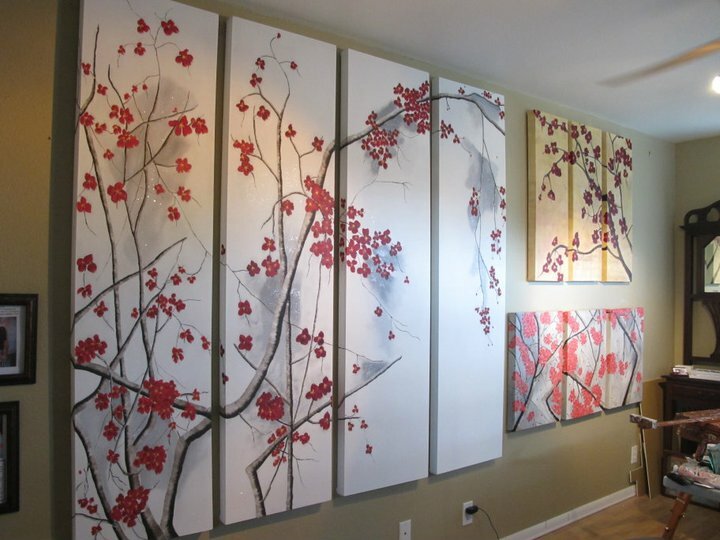 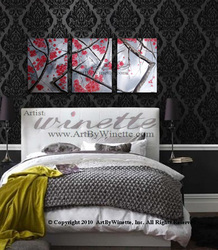 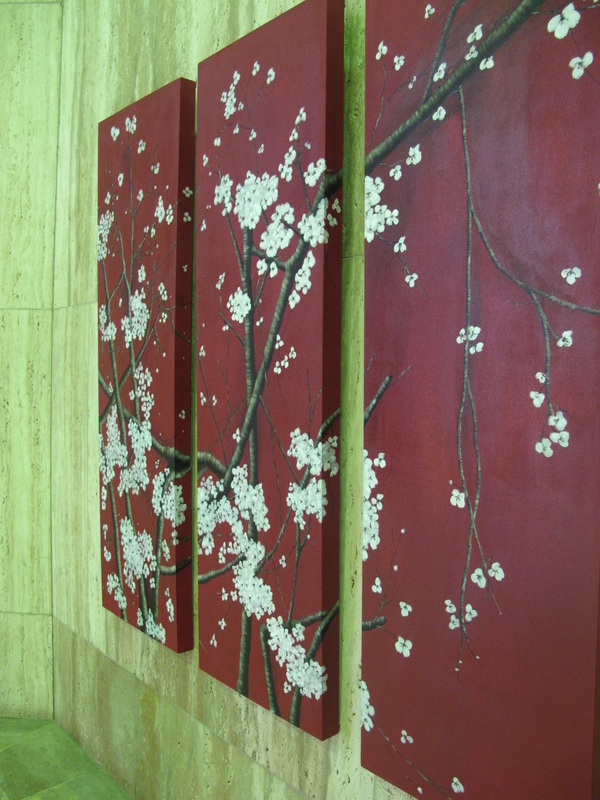 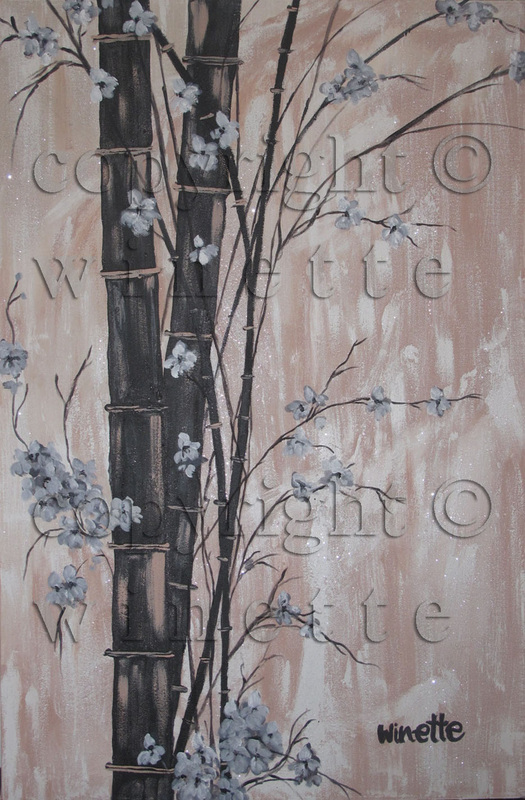 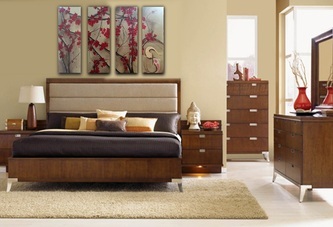 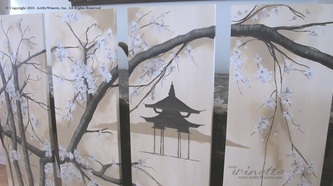 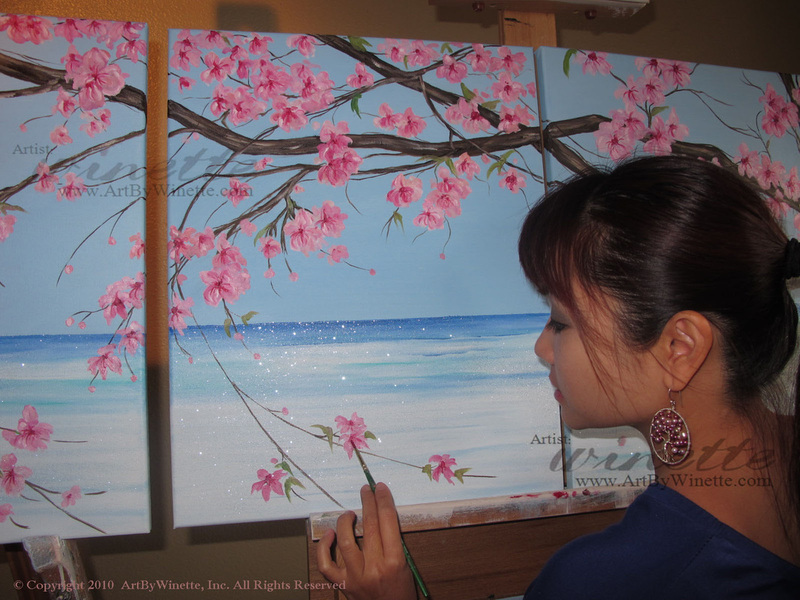 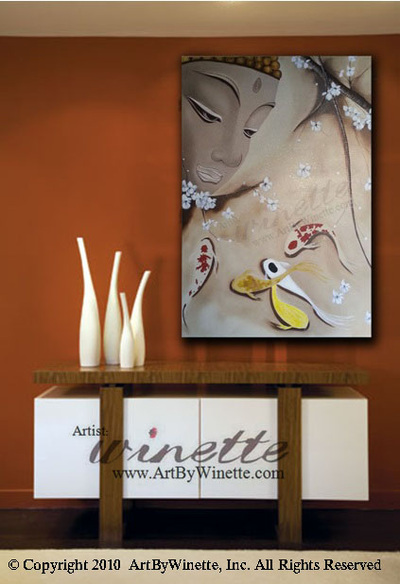 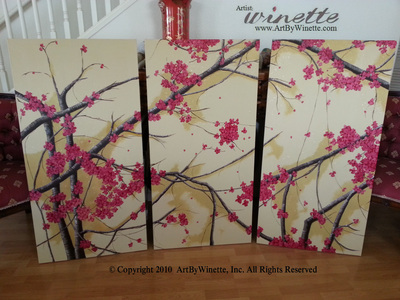 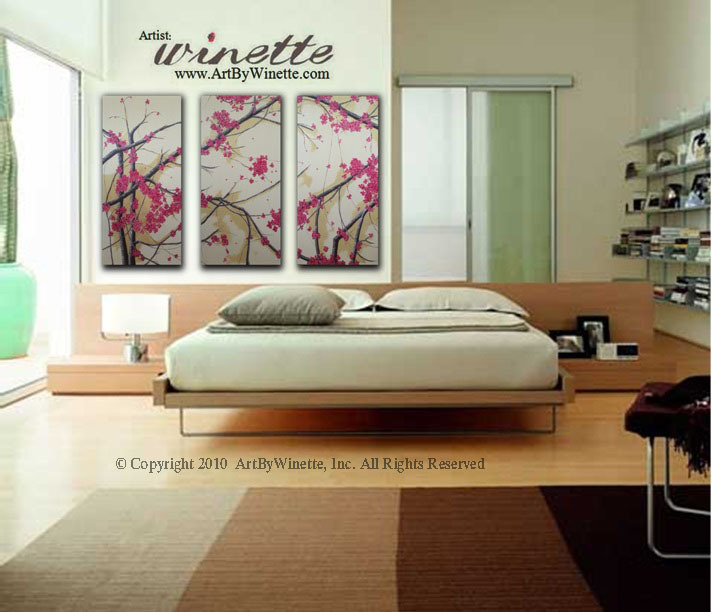 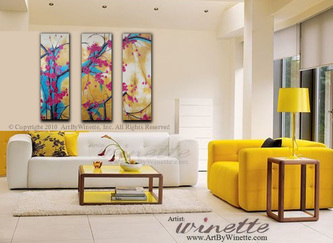 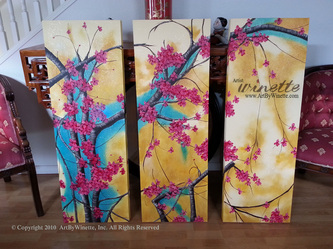 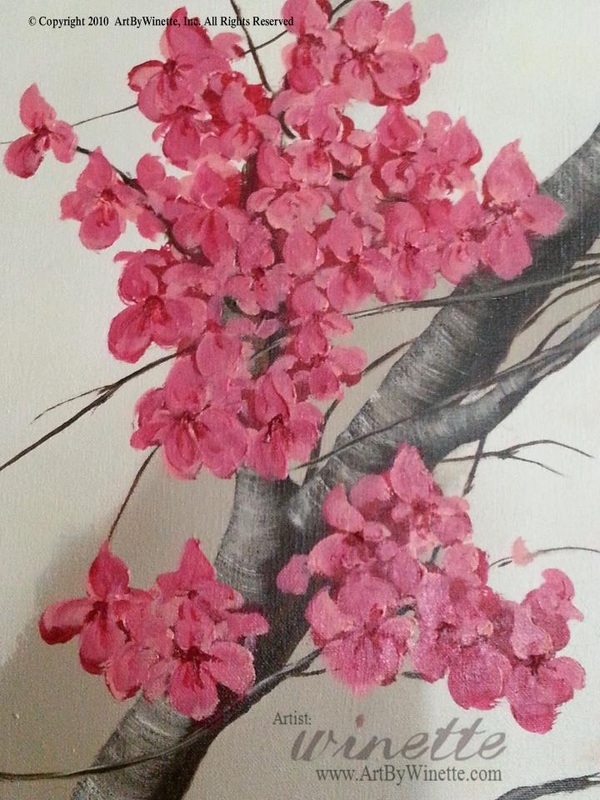 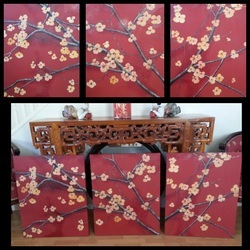 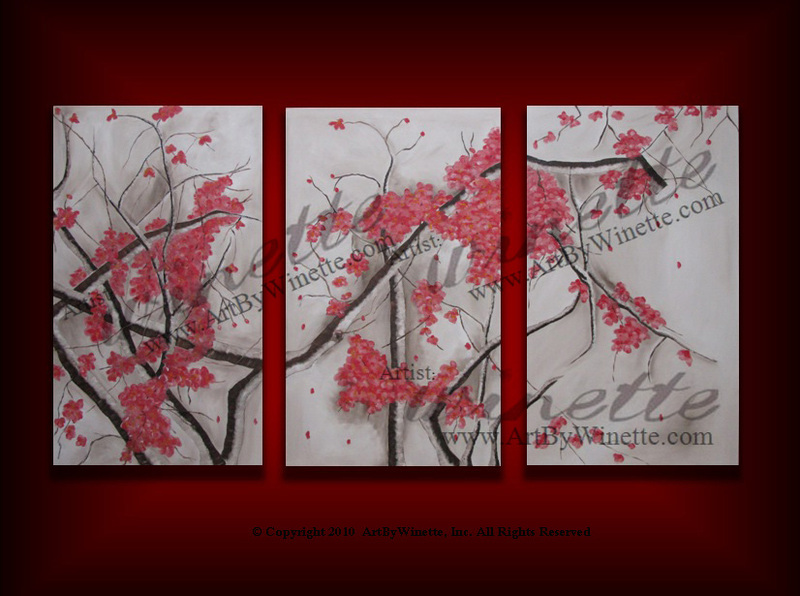 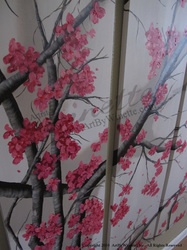 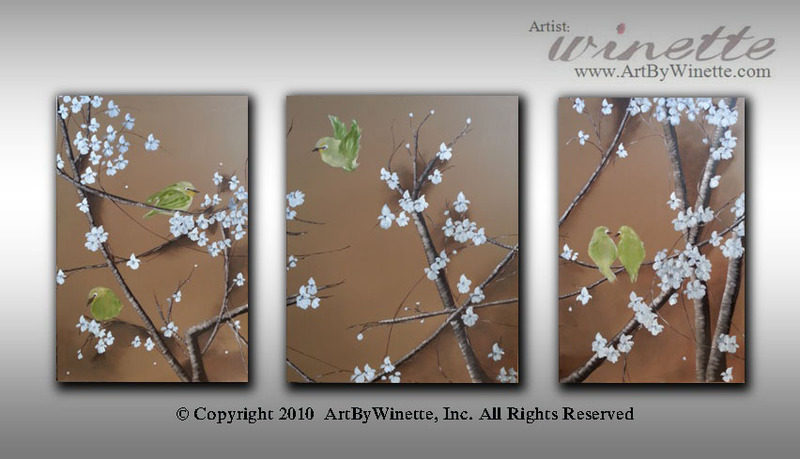 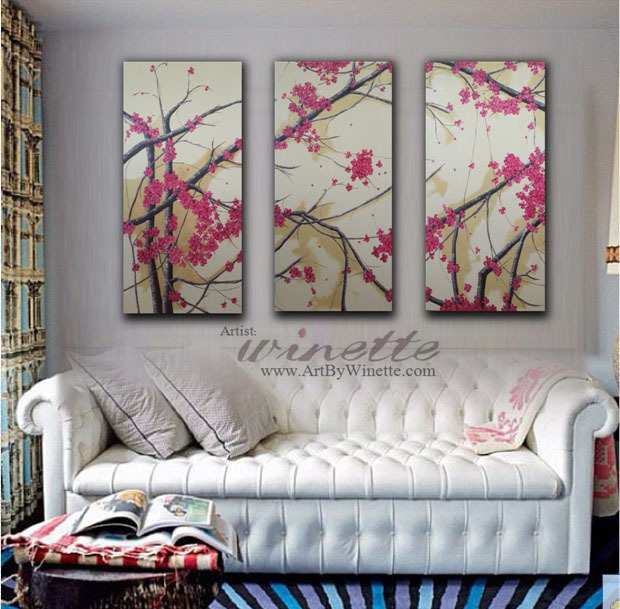 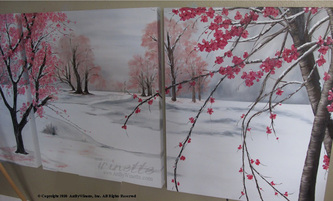 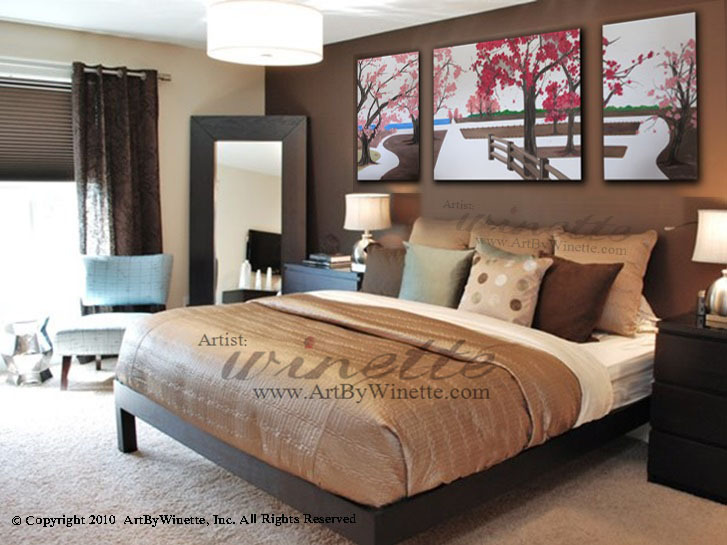 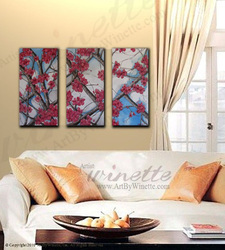 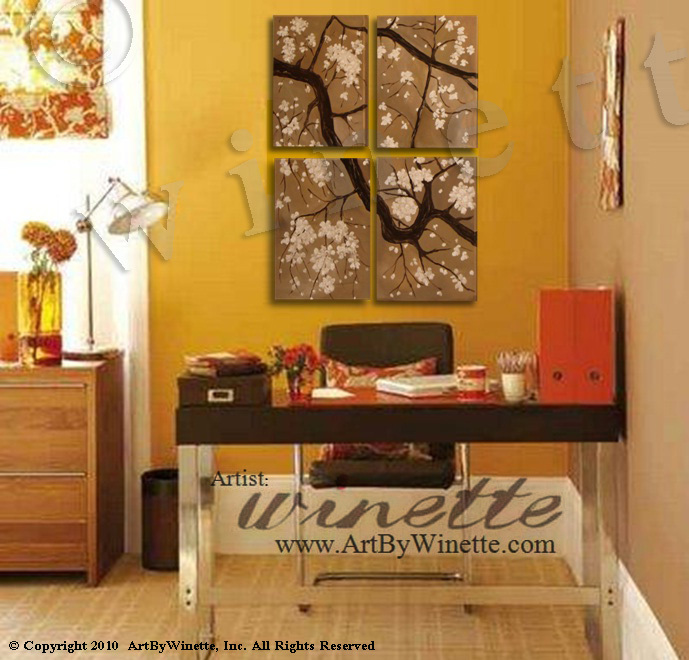 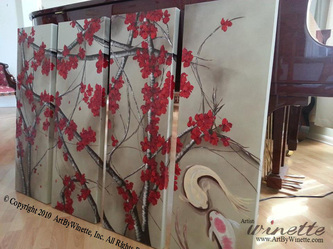 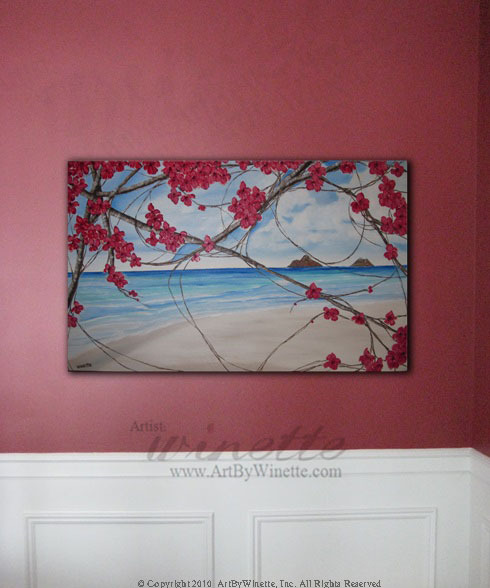 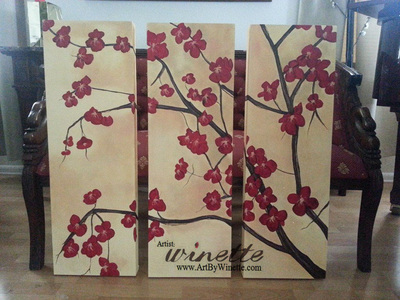 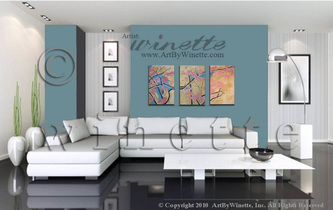 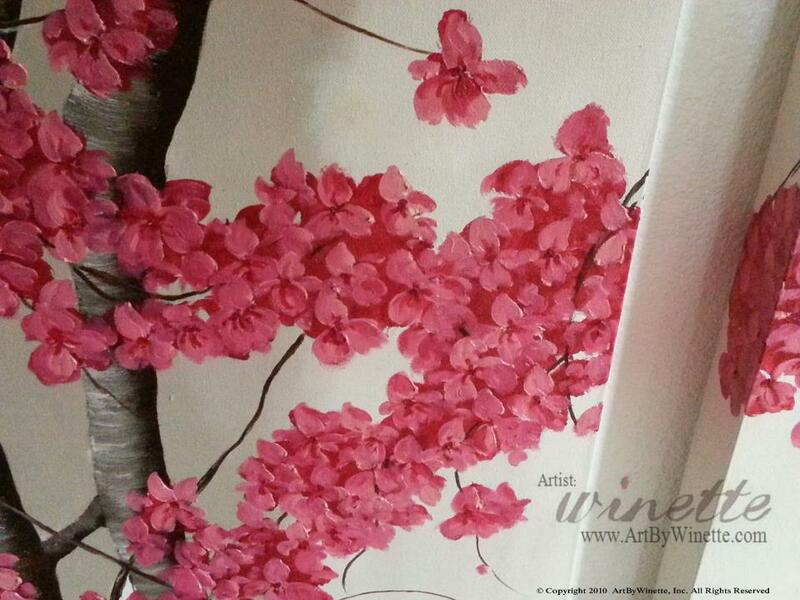 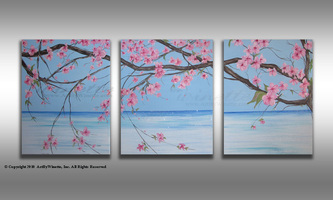 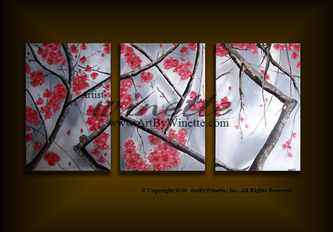 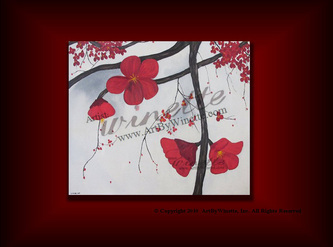 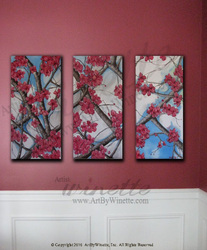 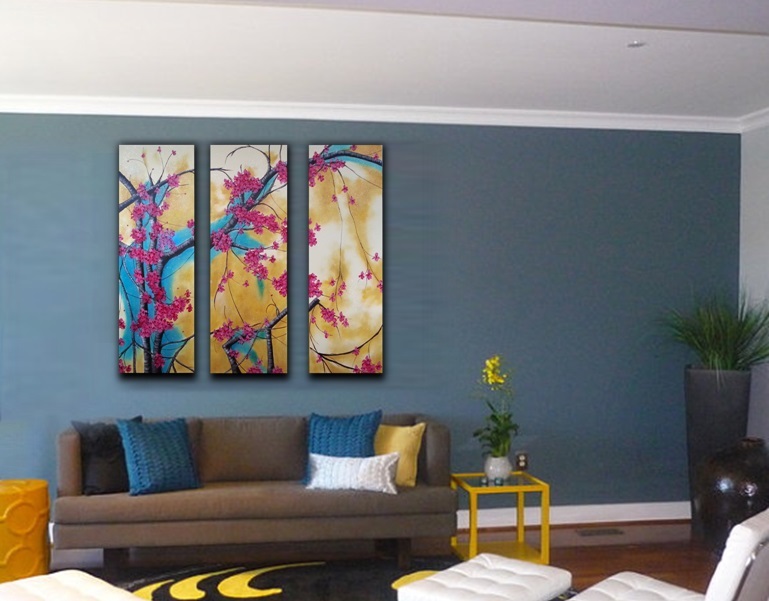 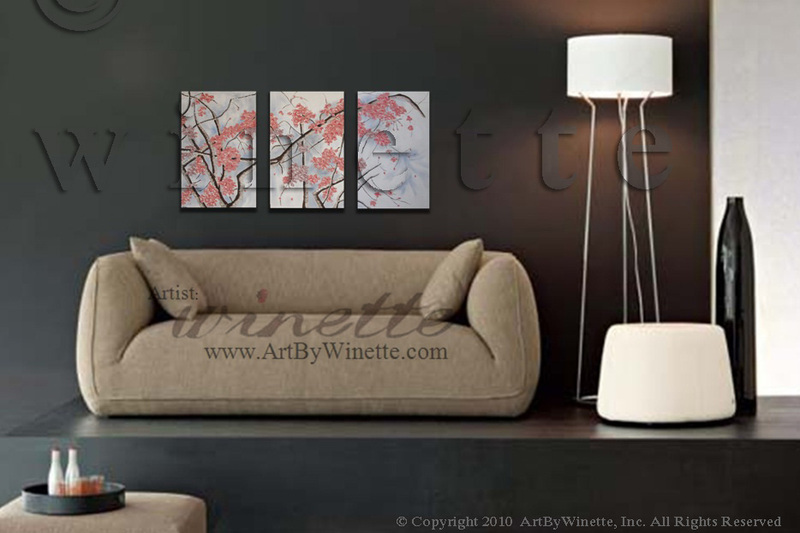 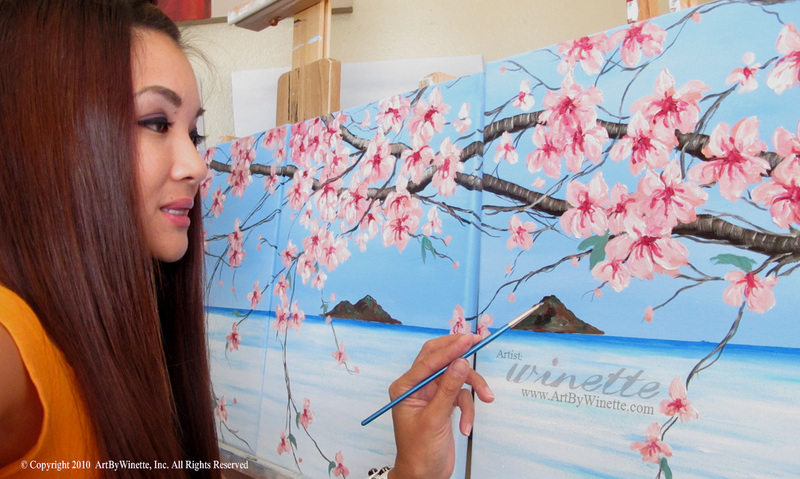 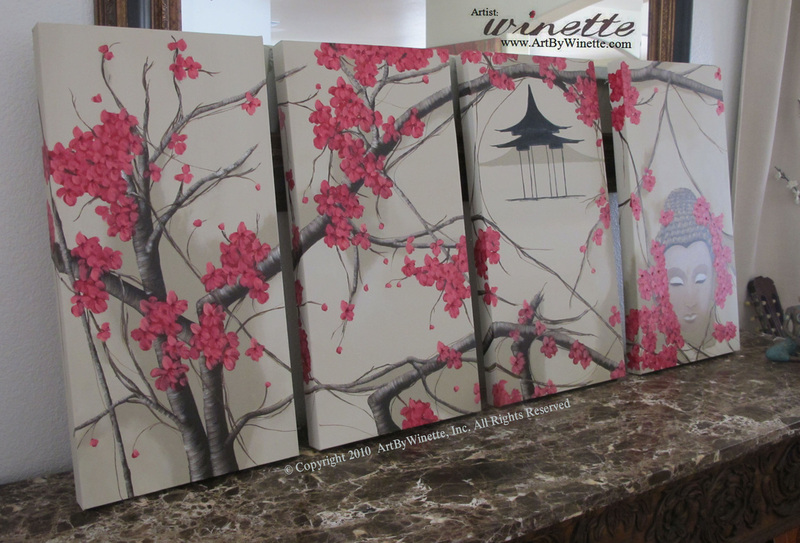 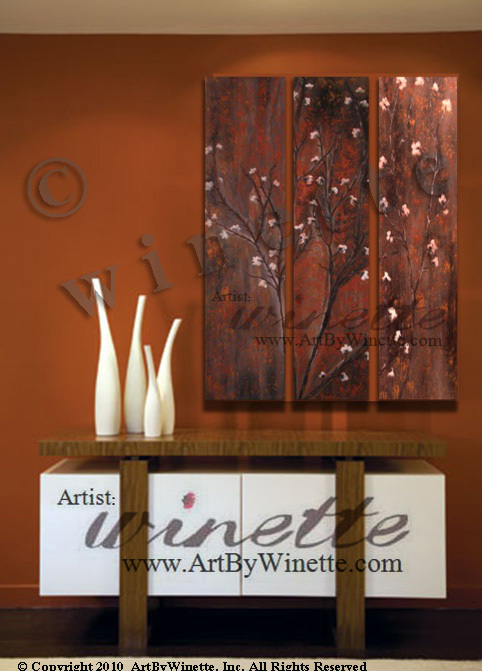 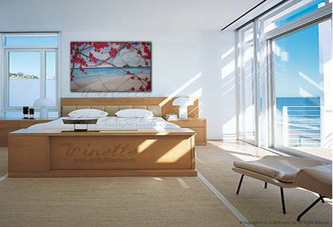 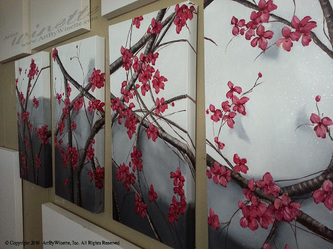 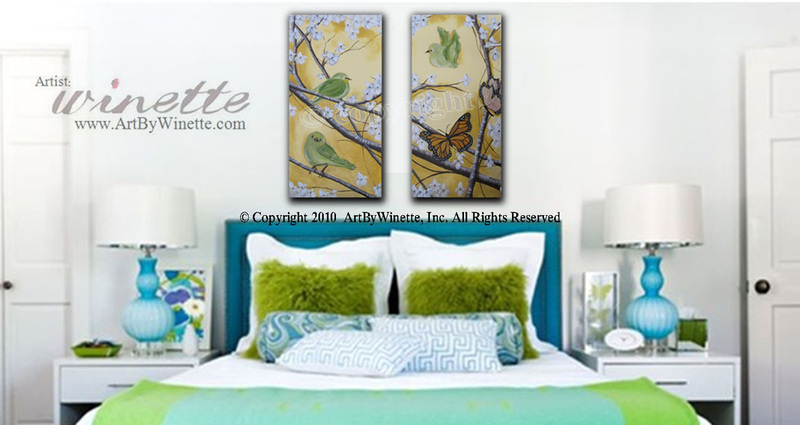 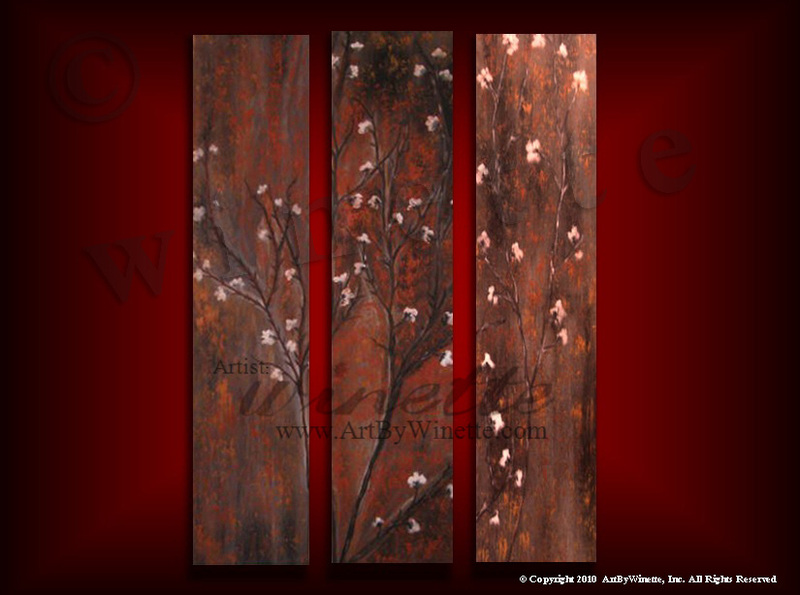 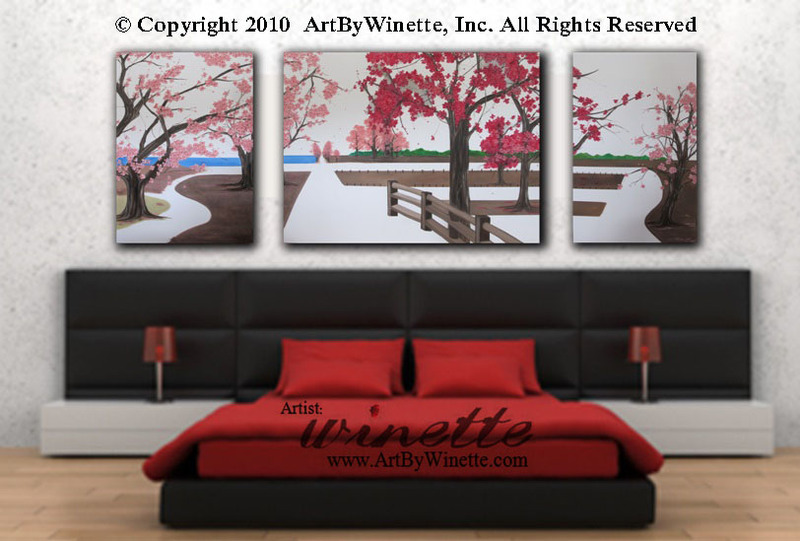 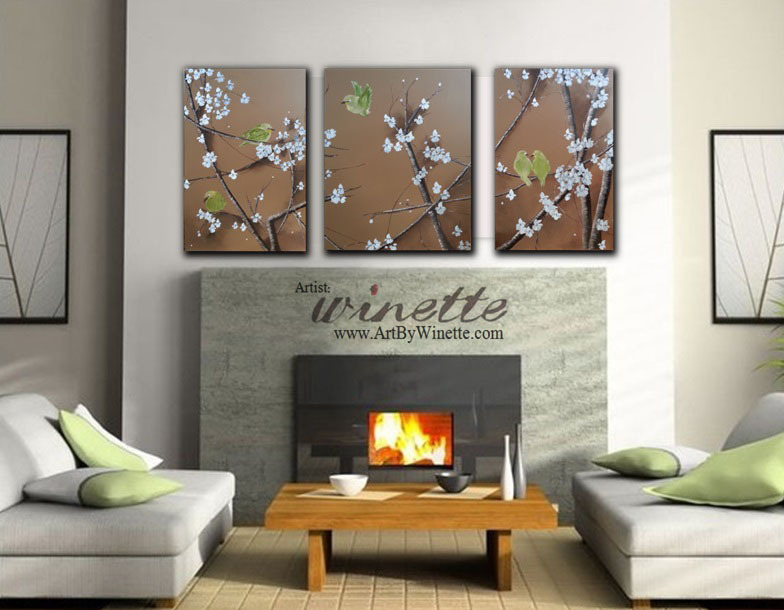 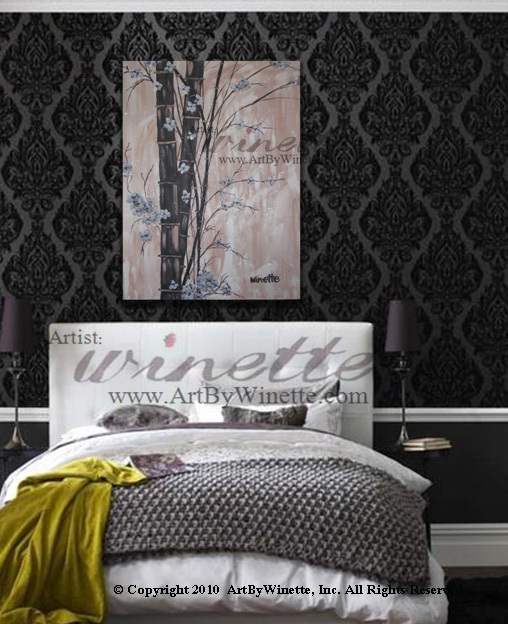 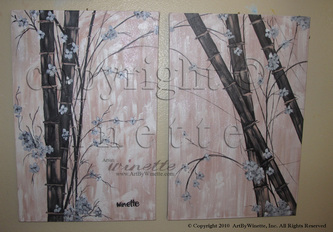 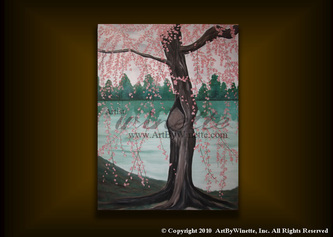 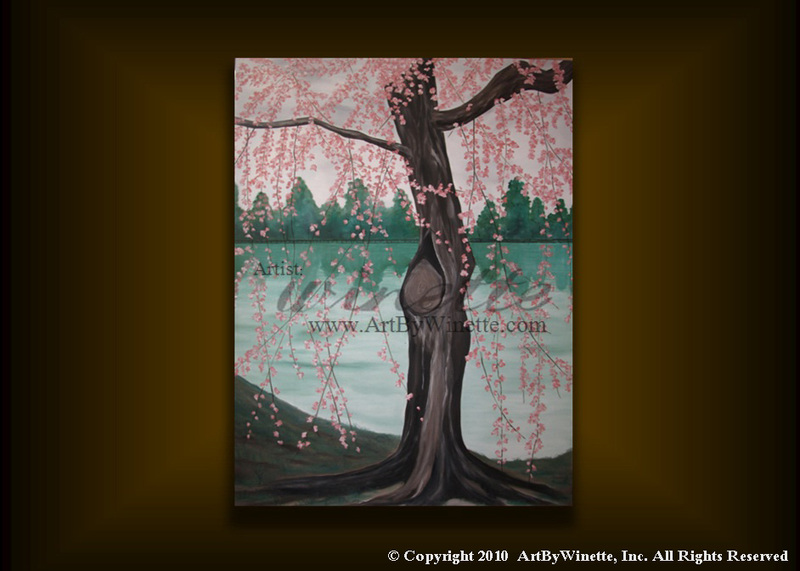 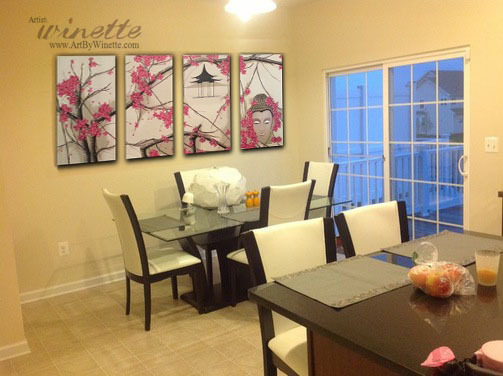 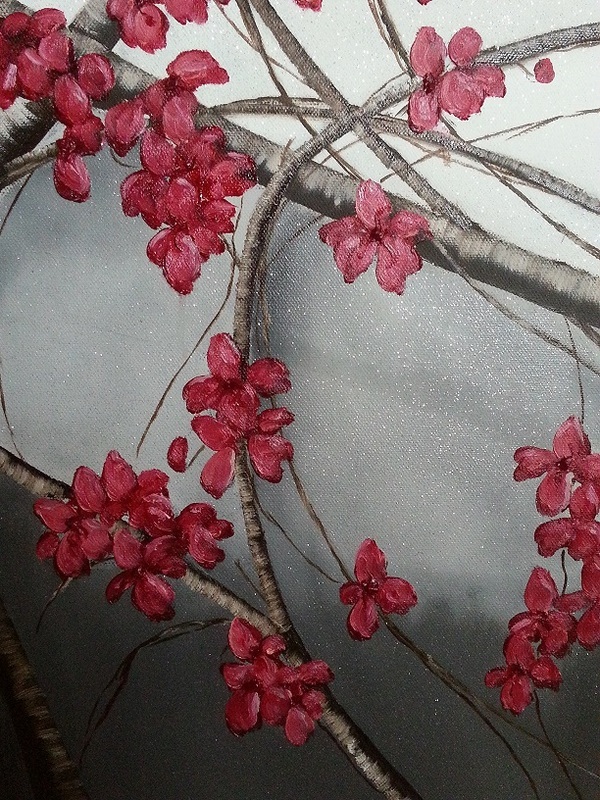 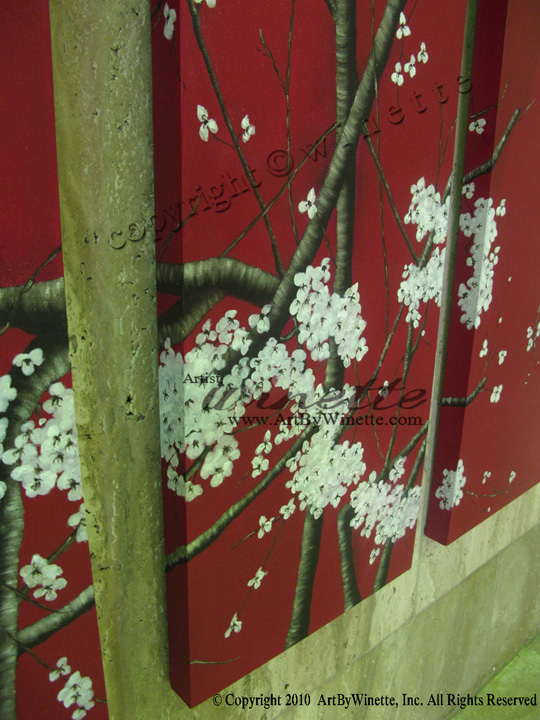 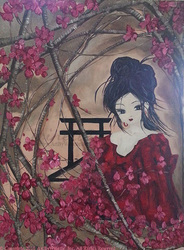 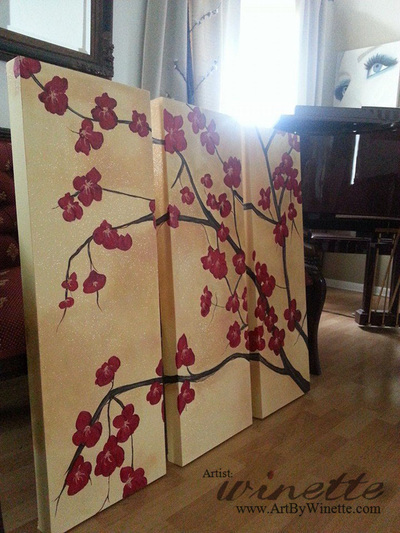 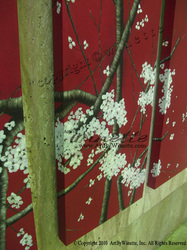 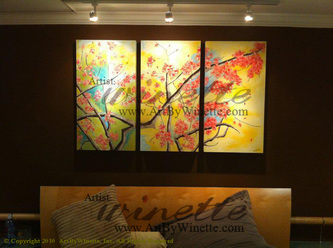 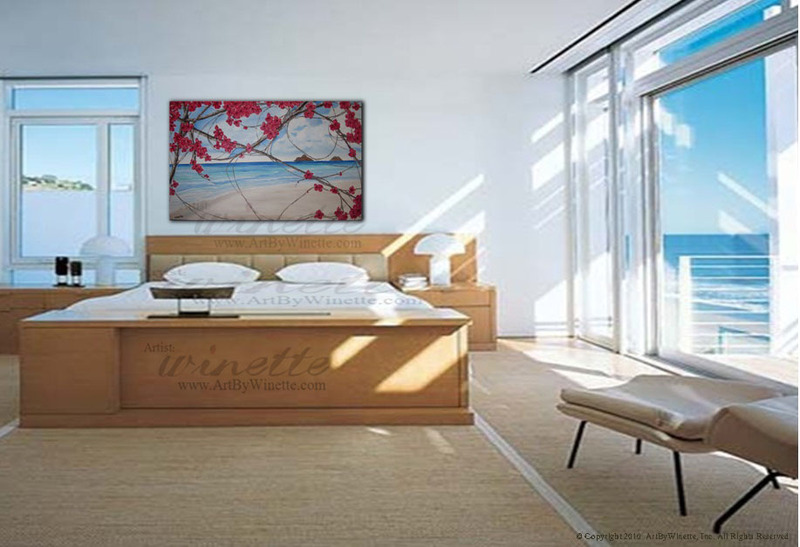 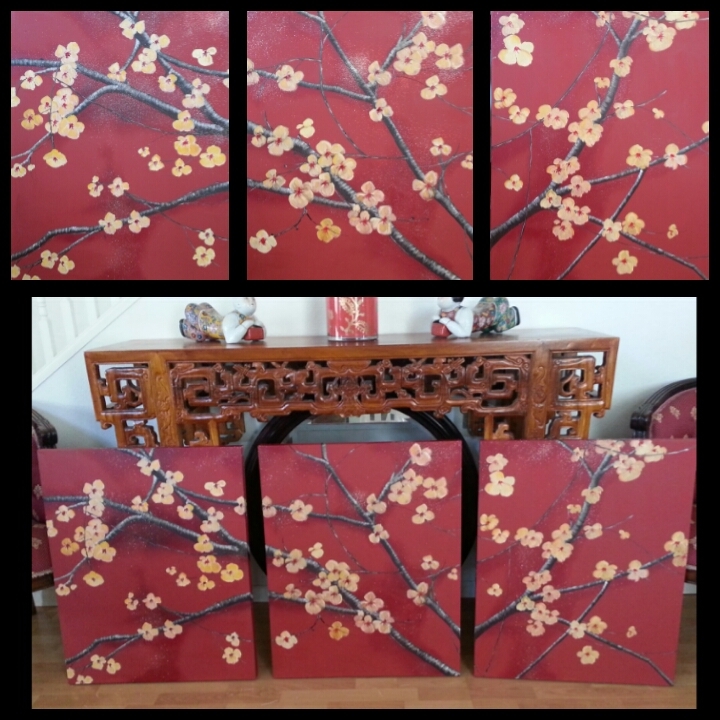 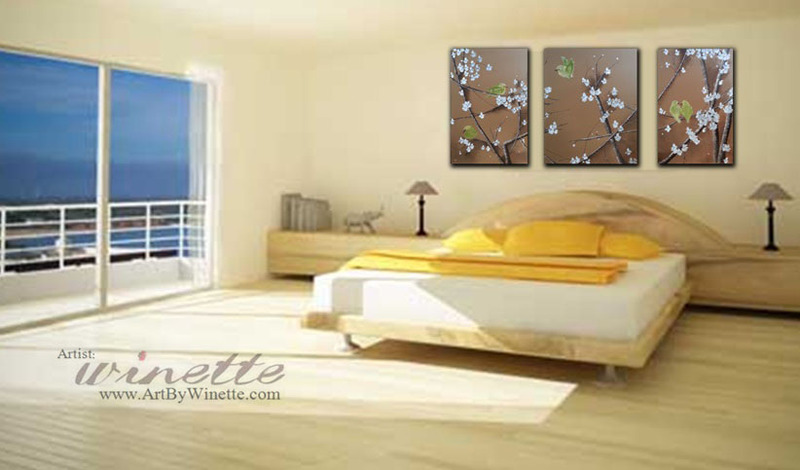 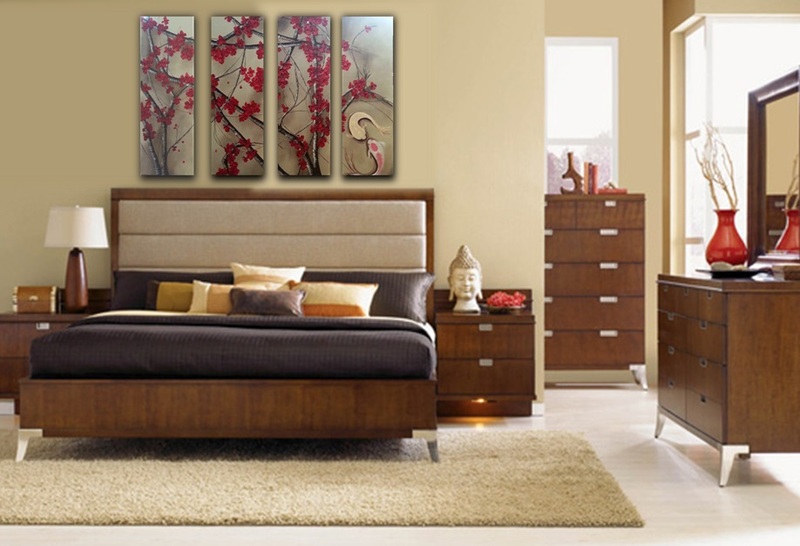 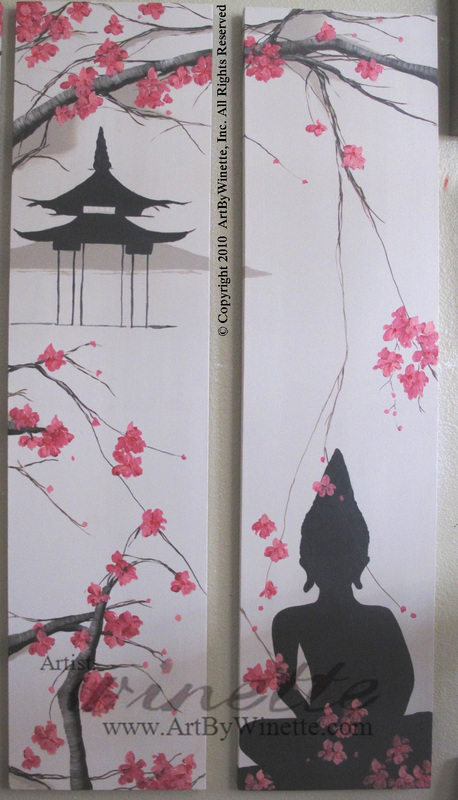 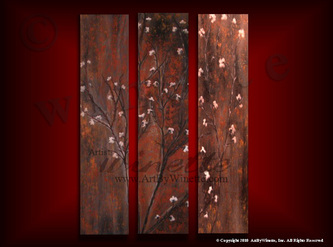 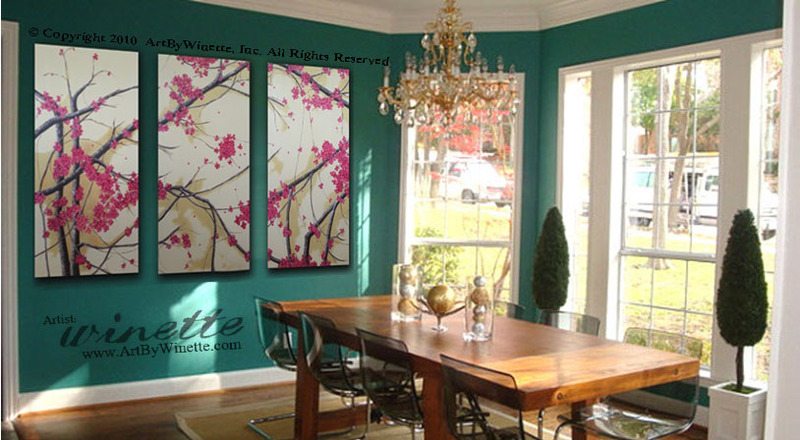 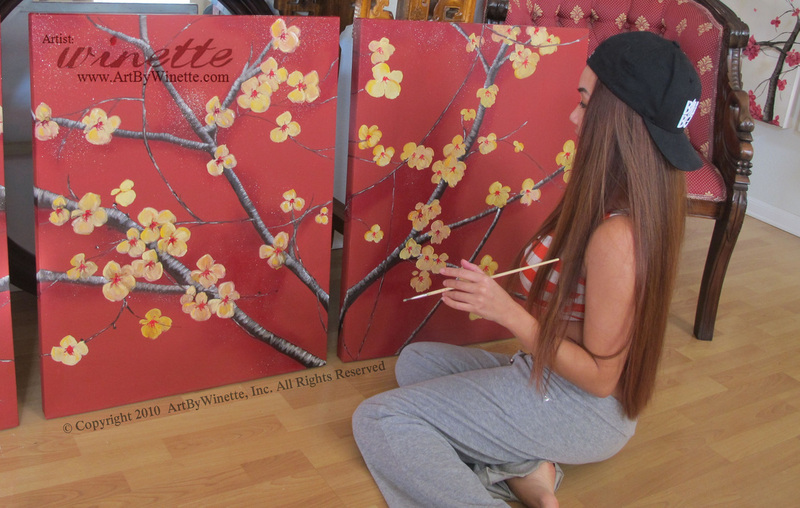 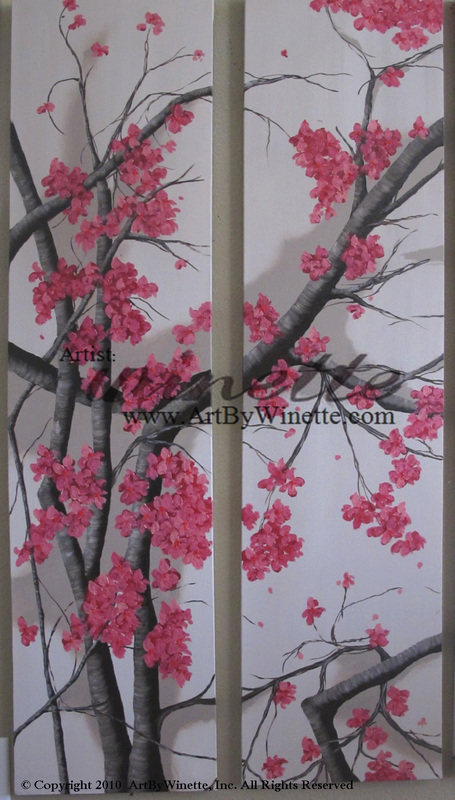 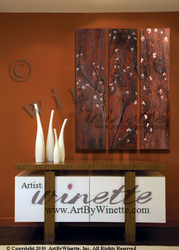 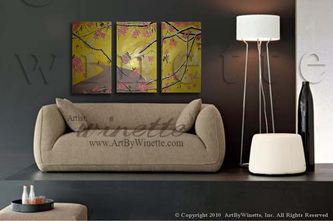 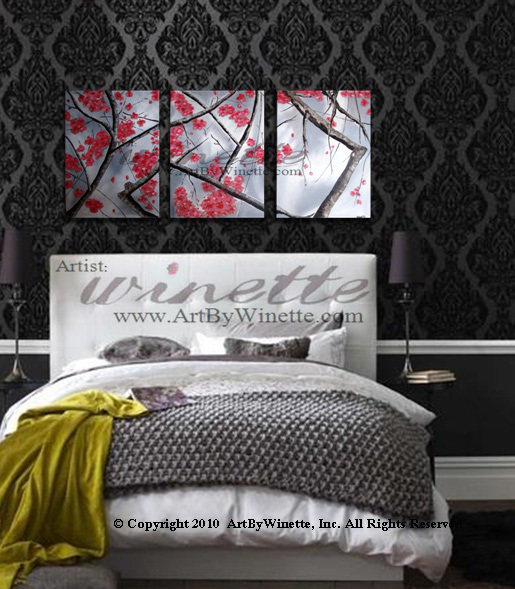 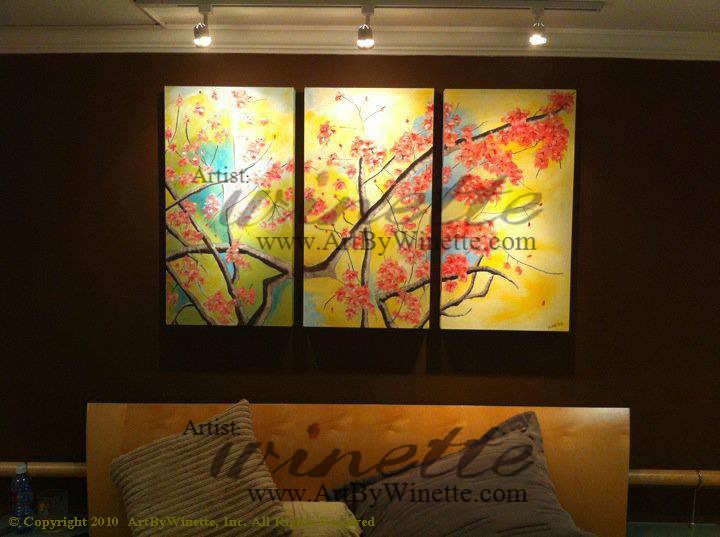 Welcome to my Cherry Blossom Oil Painting Collection. I love how calm and happy this asian style art makes me feel. 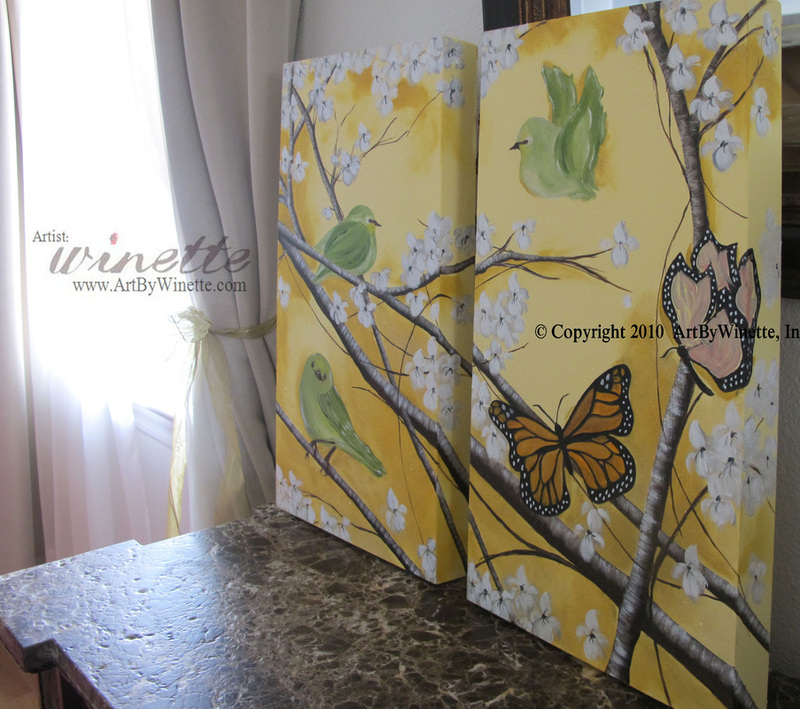 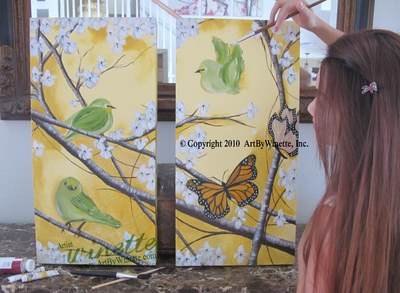 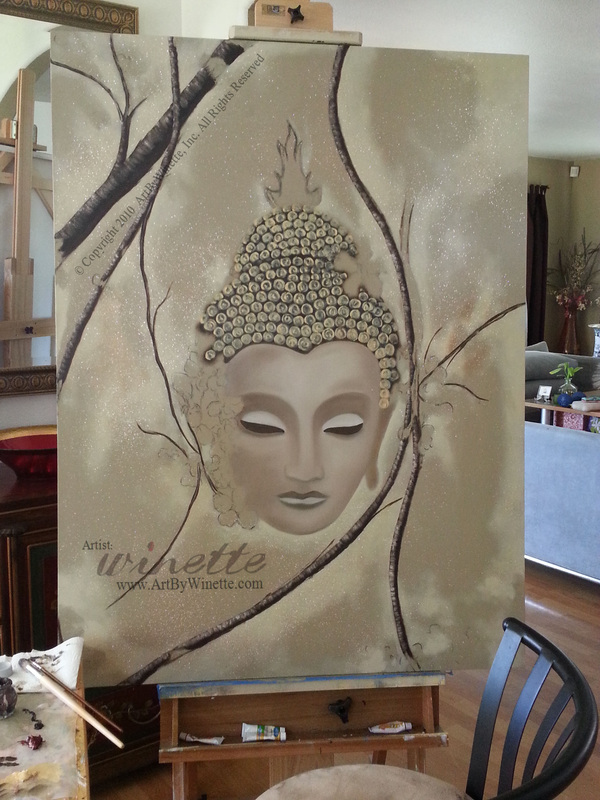 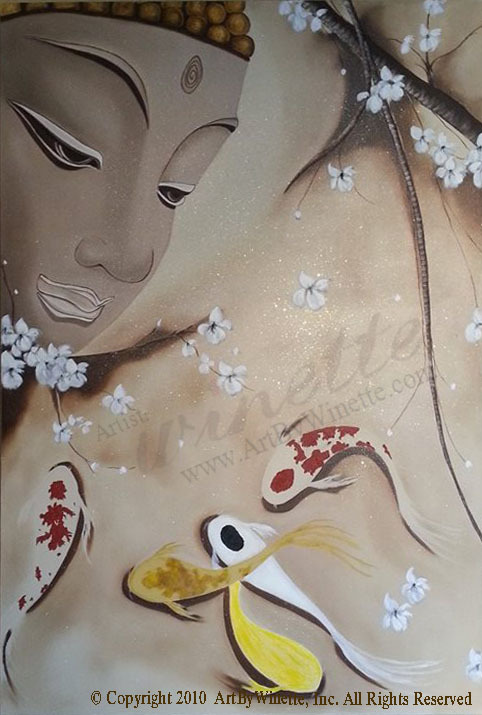 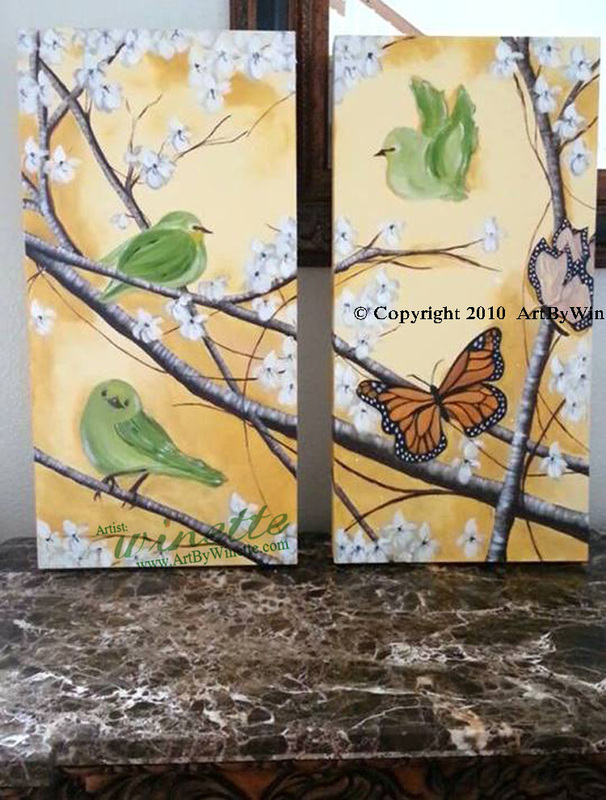 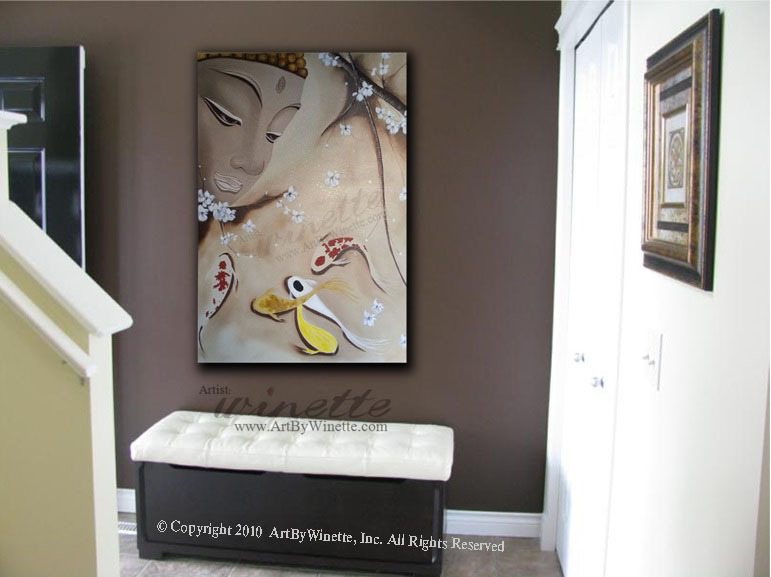 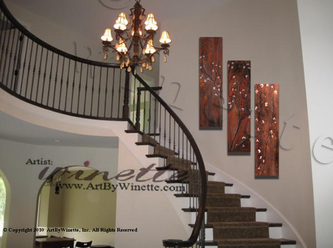 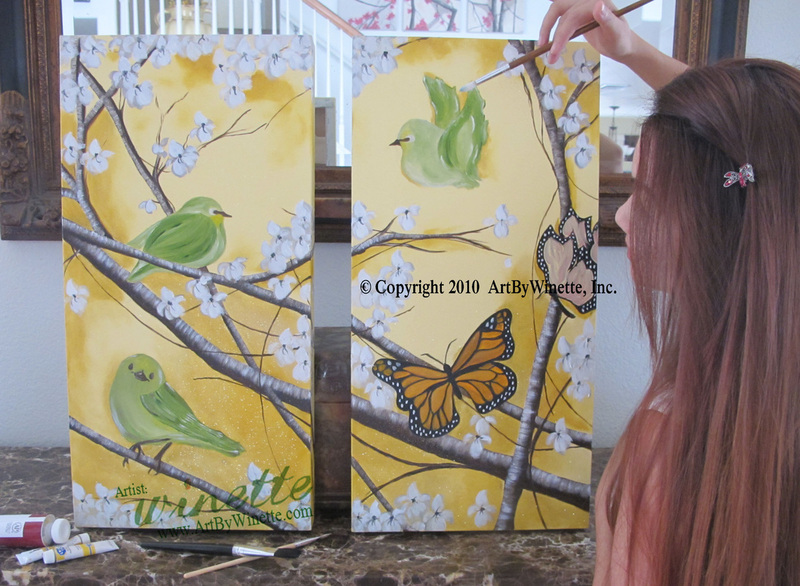 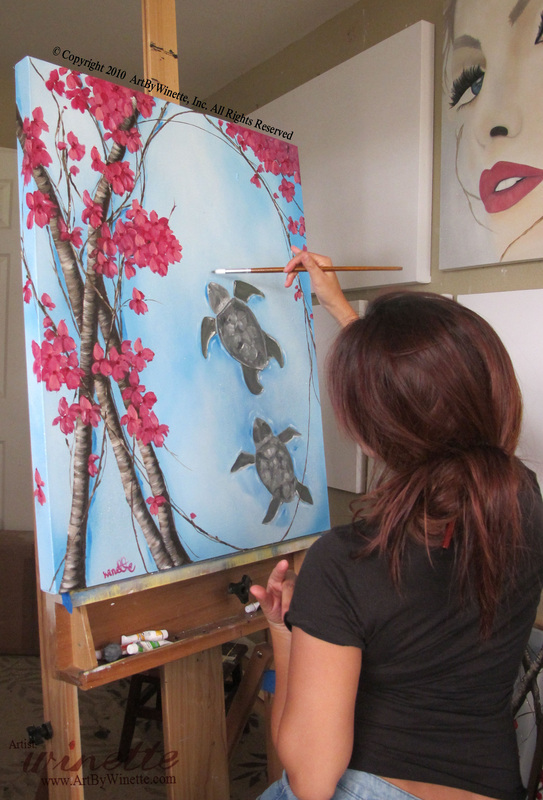 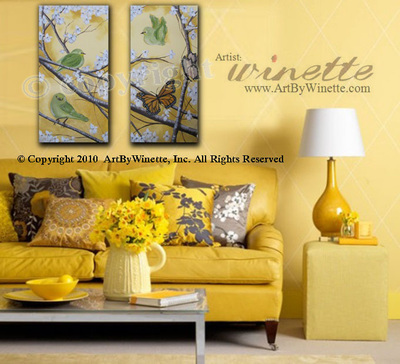 I love to create paintings either along the same style or something completely new. 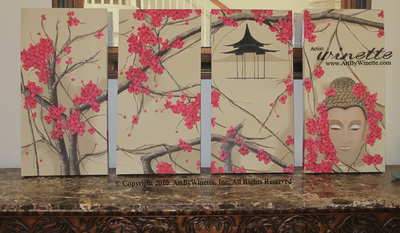 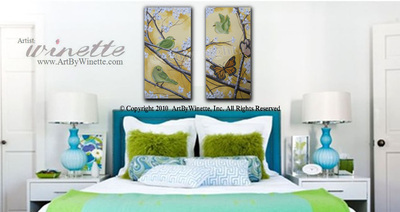 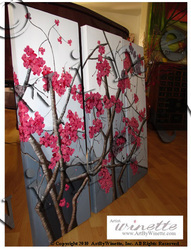 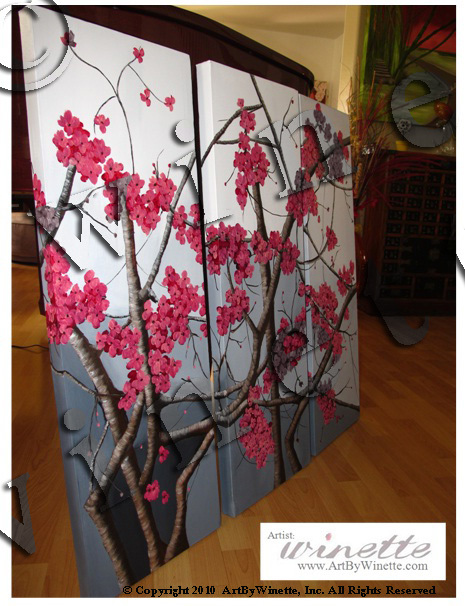 This cherry blossom collection has already been sold. However, I can re-paint it for you.